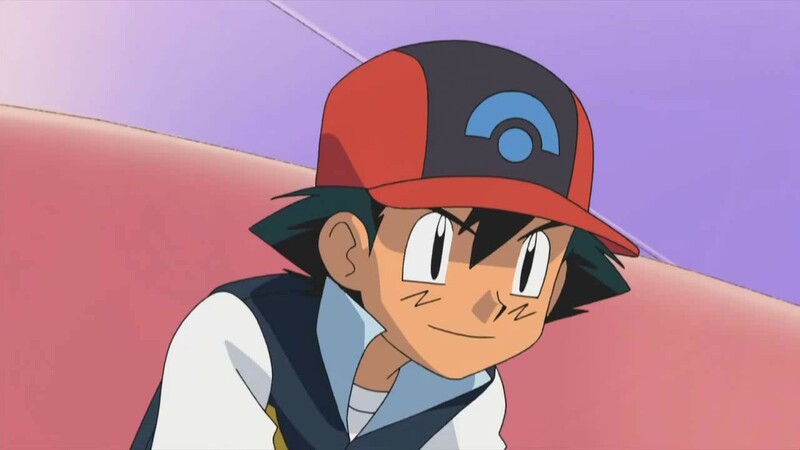 In the article “Ash’s sunny and positive personality” we talked in detail of what distinguishes Ash Ketchum: his gentle, emphatetic and positive character. However, his psychological profile needs to be illustrated in a more accurate way, by specifically talking of all the aspects that charaterize him. 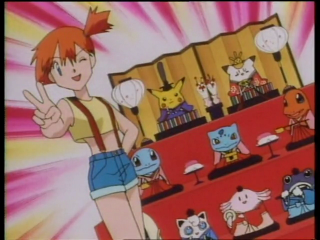 To do this, it is also useful to make use of the the japanese theme songs lyrics of the Pokémon anime. 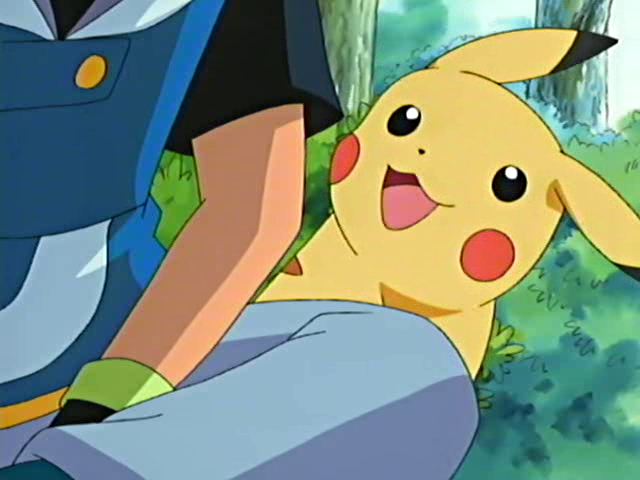 The lyrics of the theme songs in Japan are structured in a different way than ours, and this is what makes them more appreciated: in fact, they focus on the emotions and feelings of the protagonists. 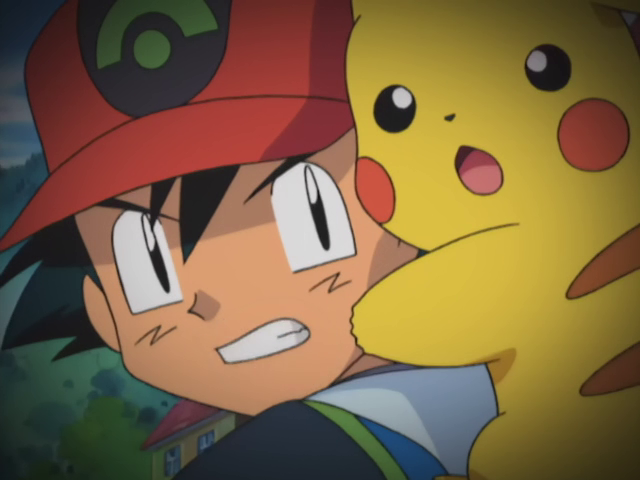 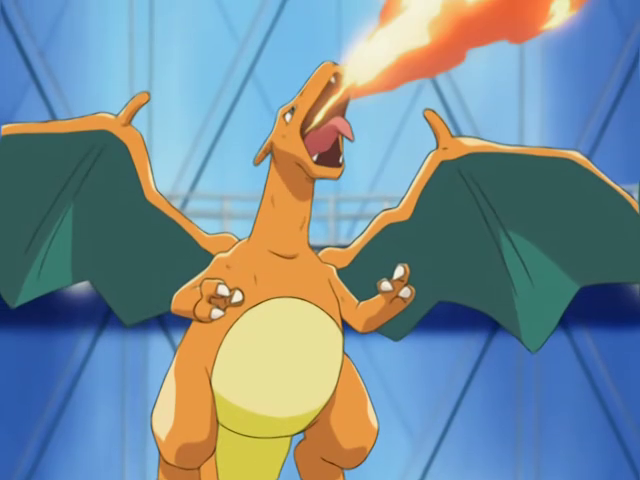 Therefore, examining the lyrics of the pokémon anime theme songs, in particular those sang by Rica Matsumoto (Ash’s japanese voice, that performs the theme songs always by putting herself in Ash’s shoes), a quite interesting context about Ash’s psychology emerges, even if it was already deductible from the episodes. 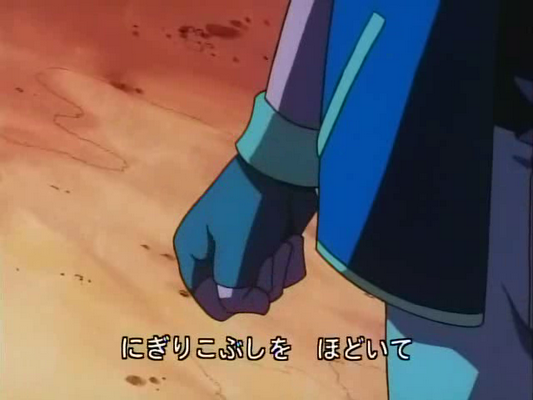 All the quotes you’ll read in this section are from the theme songs. 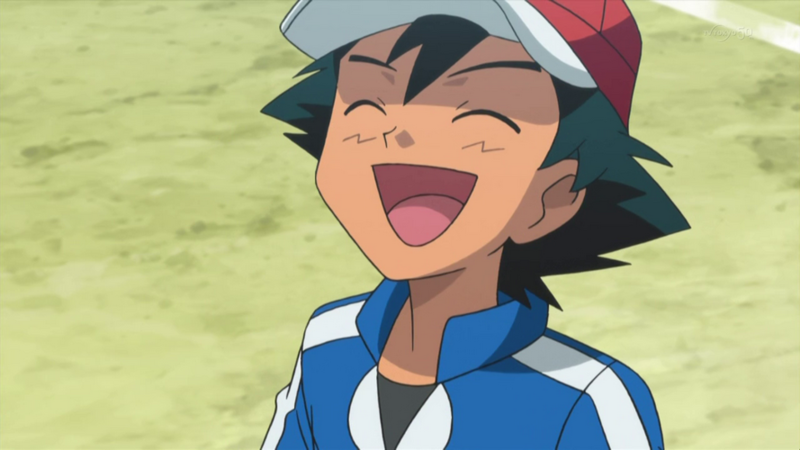 As we all know, Ash is presented as a very particu lar guy: with a noble soul, kind, positive and sweet if needed. 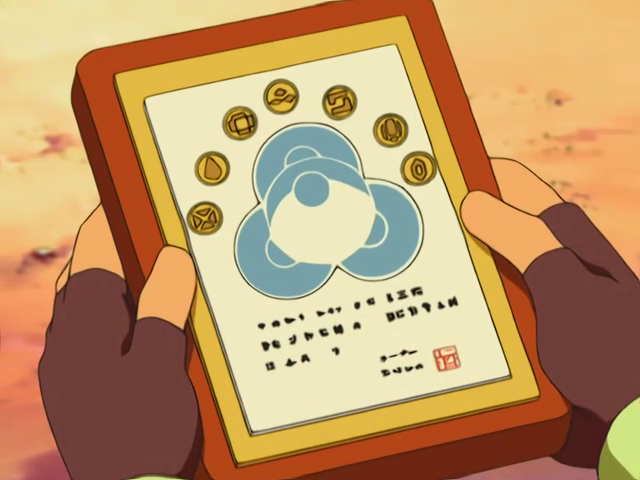 He demonstrates a remarkable wisdom on how to face life and it’s difficulties, in fact he is a reference point for all of his friends, that consider him a sort of psycologist of the group and use his teachings to overcome their insecurities. 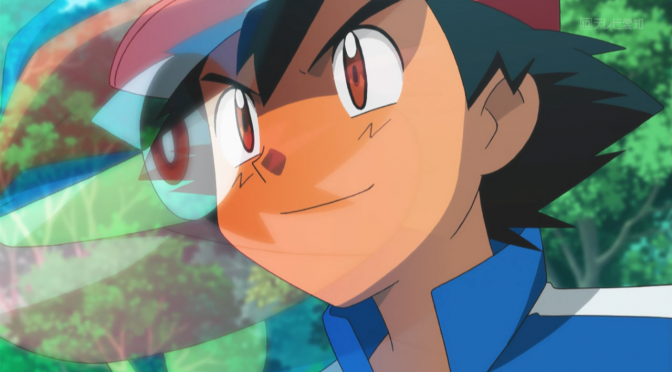 Basically, Ash is sweet and kind, but at the same time he is bold and determined. 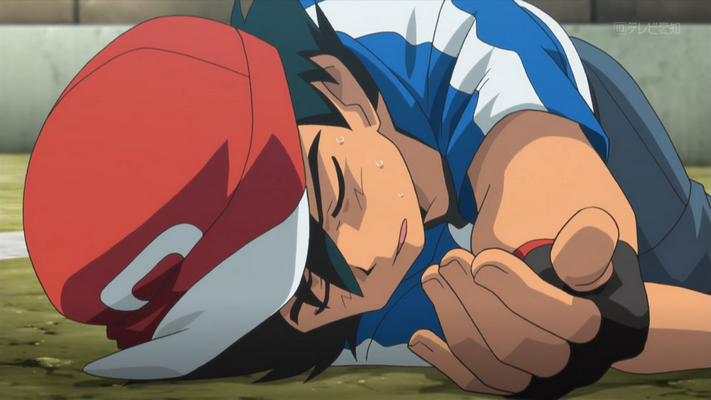 Another of Ash’s famous characteristic is his stamina. 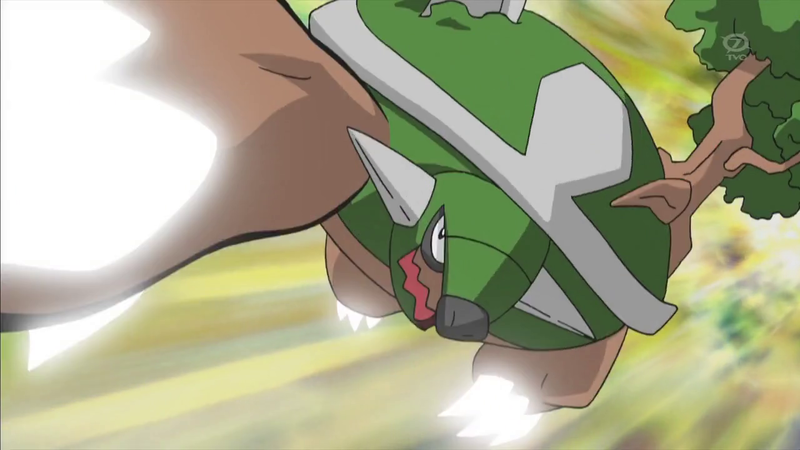 He often receives attacks from confused Pokémons or act as a shield to protect his friends and, if he gets injured, he never stops and continues undeterred to help, even at the cost of losing his life. 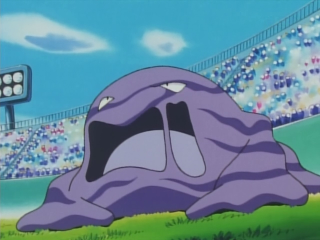 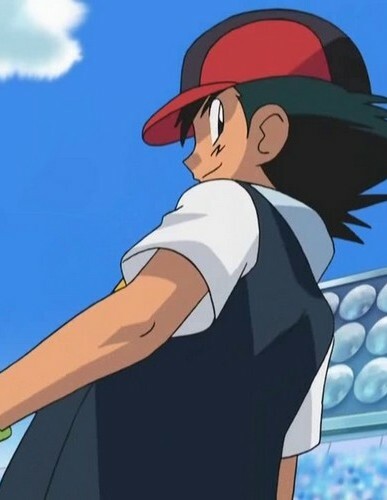 Ash never complains too much for pain, if he does, it means he is feeling really bad, like in the episodes “ The Stun Spore Detour“ (Adventures in the Orange Islands series), “A Better Pill to Swallow“ (Johto League Champions series) and “Battling at Full Volume!” (Series XYZ). 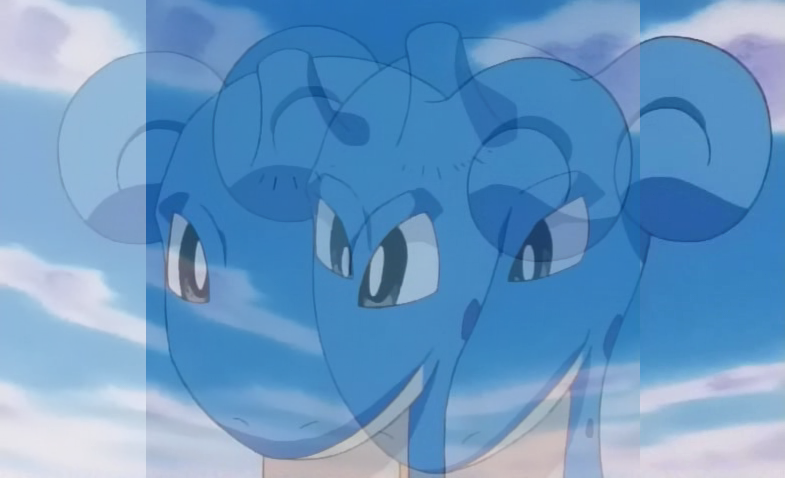 Generally, if he is not feeling well, as not worry those who are with him, he tends to downplay the problem, saying that everything is fine, even though in reality it isn’t. 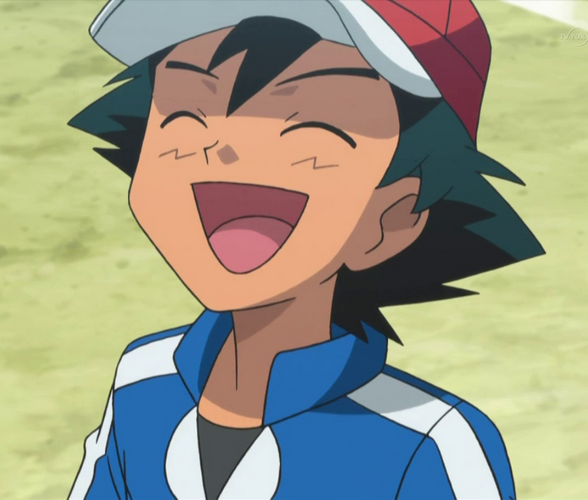 However, since Ash’s personality is so good-natured and reassuring, no one would expect him to become hateful and surly, though there are some cases in which Ash reveales an unexpected side of his character, which may stun not only his travelling companions, but also the audience. 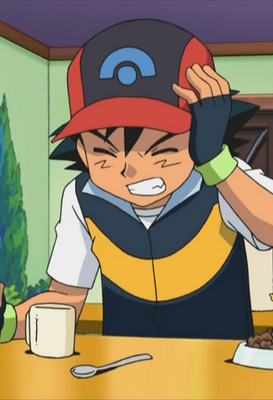 Ash actually always keeps everything bottled up, he never wants to talk about his problems and if someone insists so as to persuade him to do that, he always ends up getting angry. 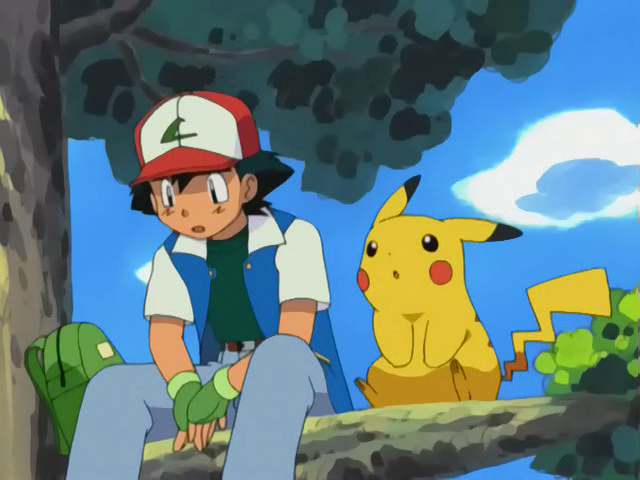 When Ash is really sad, nervous or worried for something (especially for Pikachu, but also for all of his other Pokémons), he may become unrecognizably grumpy, sour and unpleasant (like Misty, May and Dawn defined him sometimes) to the point of becoming offensive or being quite rude. 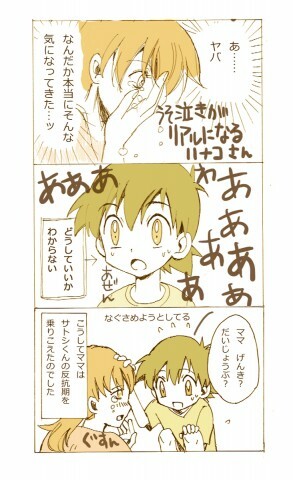 In these cases, even speaking to him could cause a bad reaction fro m him. 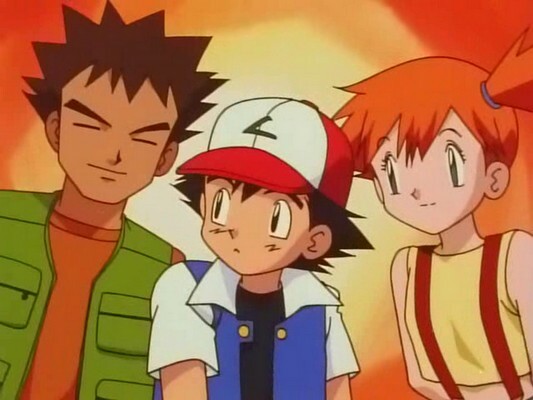 For this reason Brock, knowing Ash very well, sometimes had to stop those who tried to speak to him, to calm him down or even worse, to scold him. 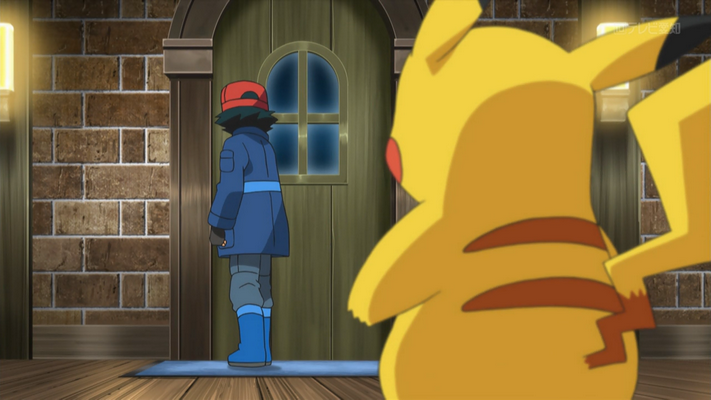 In such cases Ash needs to stay alone, the only ones who can approach him are his Pokémons. 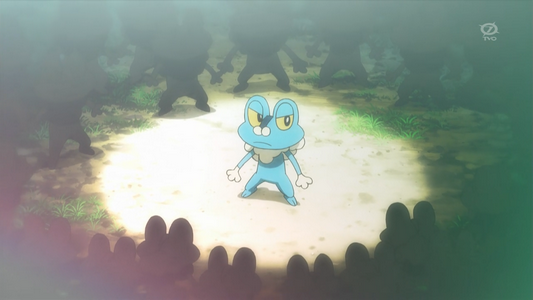 Generally, in this way he calms down and his friends can take over. 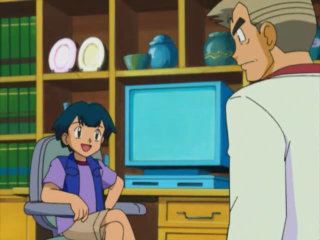 In some rare occasions Ash got to the points of talking back even to Brock, who he respects and thinks highly of. 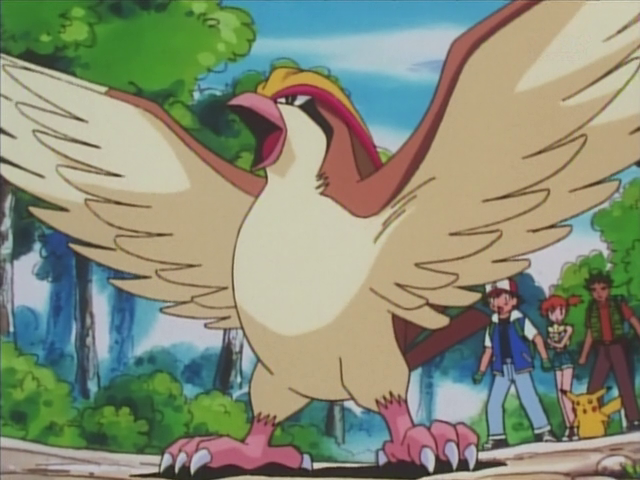 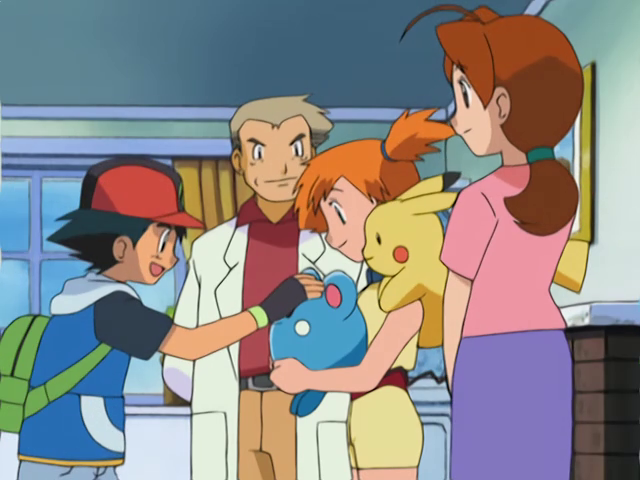 In the episode “ On a Wingull and a Prayer!” (Advanced series) Ash, nervous for having lost the ferry to Dewfor Town, addressed May in a very sour way. 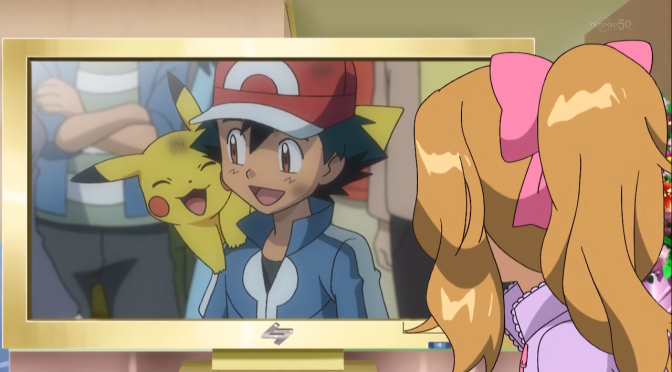 The girl didn’t expect such a reaction from Ash and took it badly. 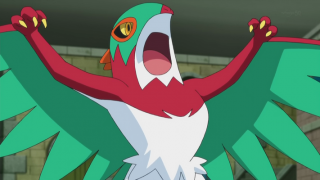 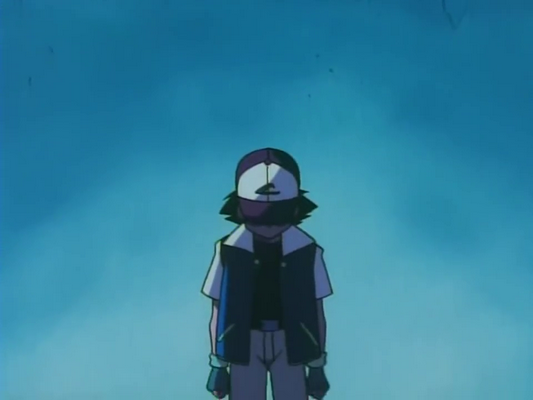 In episodes “All Hail the Ice Battlefield!“ and “Seeing the Forest for the Trees!” of the XYZ series, Ash has once again had a moment of crisis, and as usual he asked to be left alone. 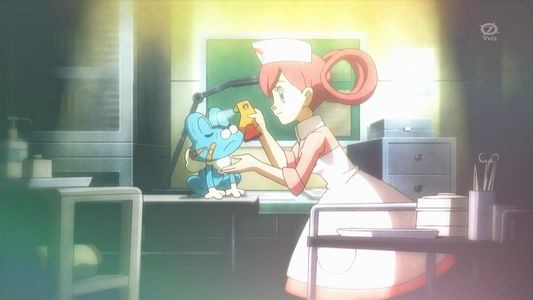 But Serena, worried about him, is still gone to look for him and has considerately tried to cheer him up. 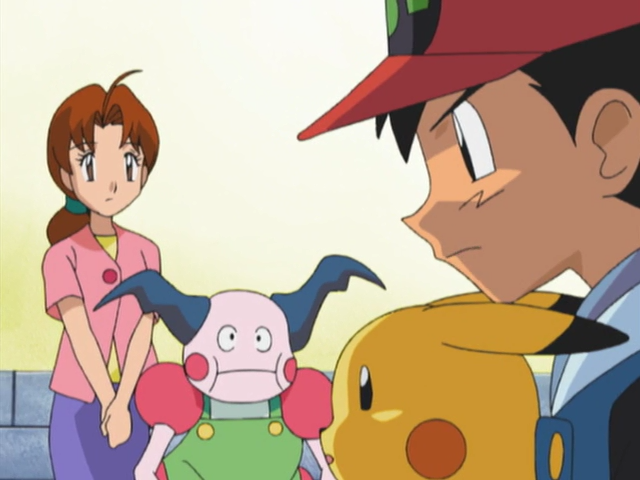 However, as we all know, Ash in these moments is unapproachable and obviously he is turned against Serena in a decidedly stern way. 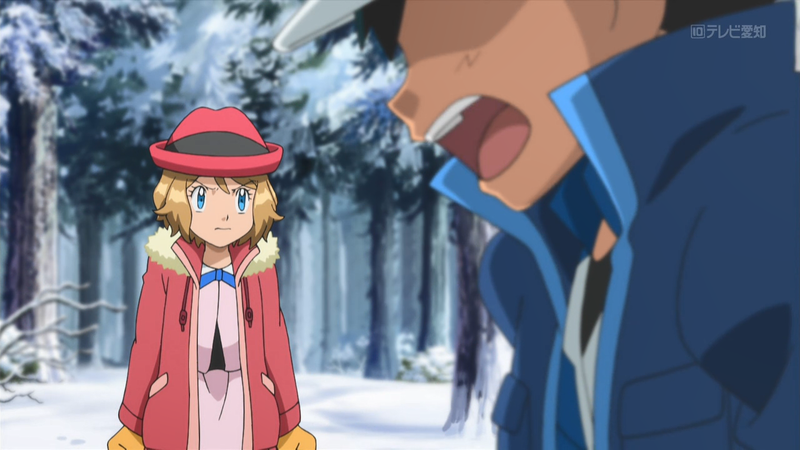 Serena, not expecting such a behavior by Ash, is burst into tears and began throwing snowballs on him, reproaching him to not recognize him anymore. This act has come to help Ash to find himself. 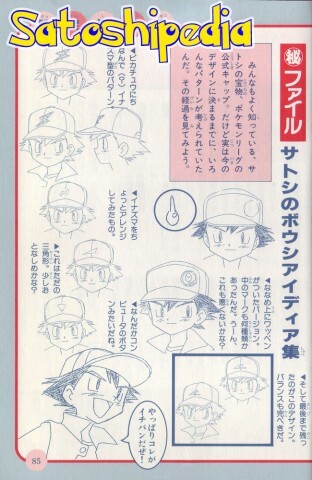 Note that Ash’s character improved over the years. 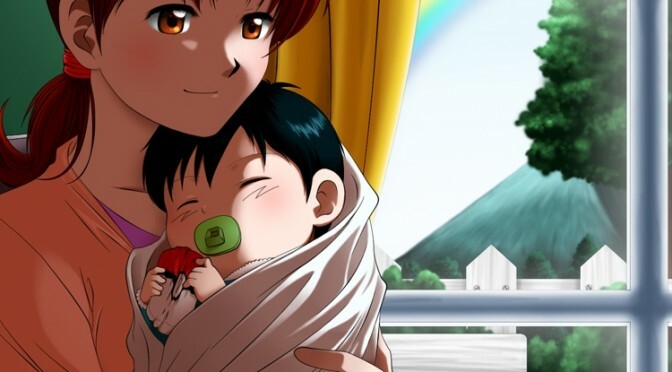 In the first series he was often very arrogant, but as the years went by he matured and became generally kind and thoughtful, as we know him now. In fact, in the recent episodes it is quite rare to see him get nervous and talk back to his friends. 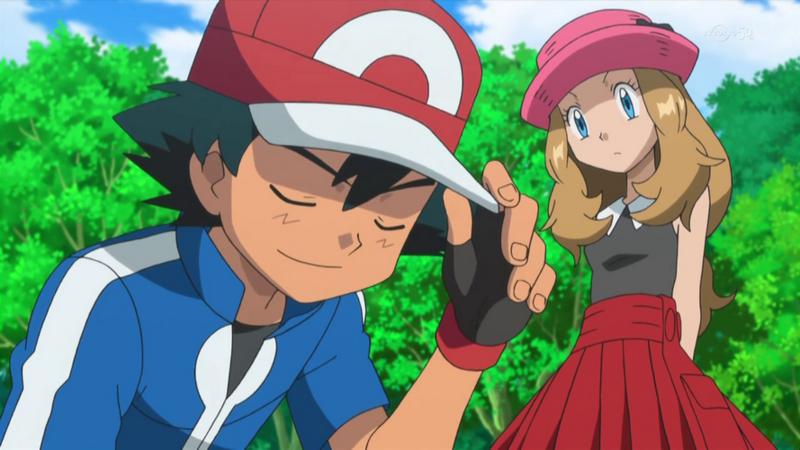 Particularly in the XY series, Ash demonstrates to be more patient even with who is a first-time trainer and instead of getting angry (as he did with Dawn at the beginning of the Diamond&Pearl series) he prefers to make reproaches for greater good. 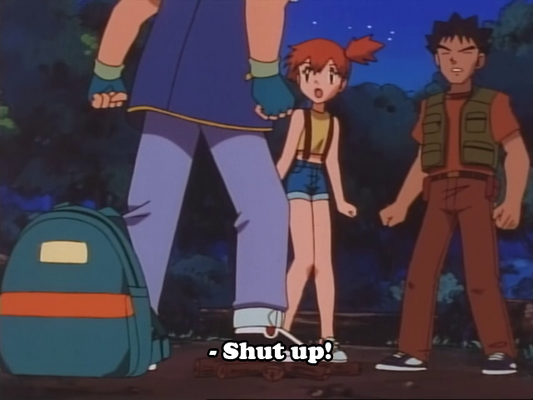 Here is a little fun fact: in the Japanese version of the first series, Ash was often very obnoxious towards Misty. 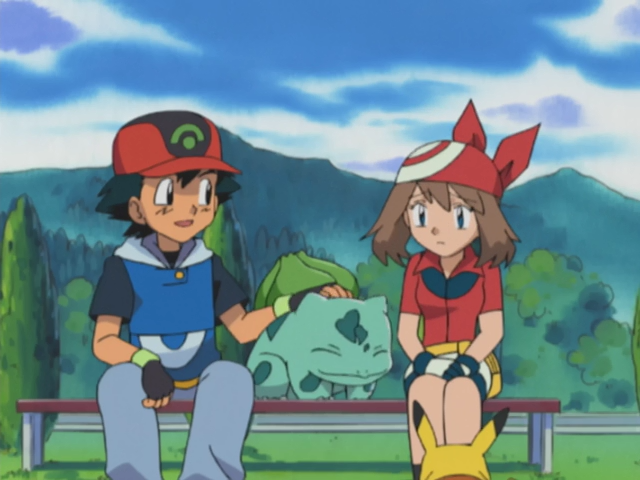 Most of the time she rebuked him or just tried to give him some advice, Ash replied to her: “urusai na” (term used in Japan to silence someone), but in the Western version of the episodes, most of these dialogues have been totally changed or even removed. 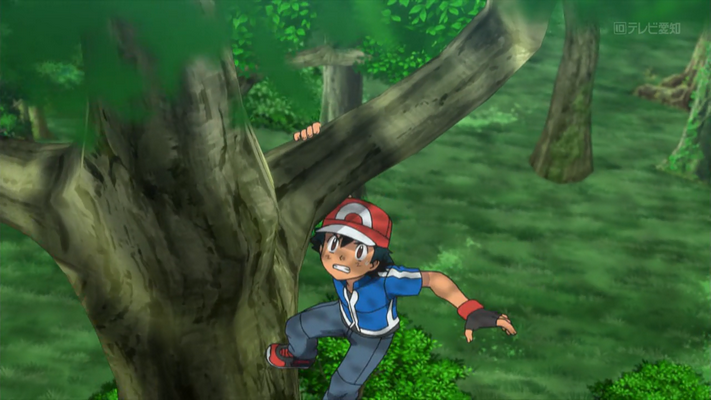 Ash is very impulsive. 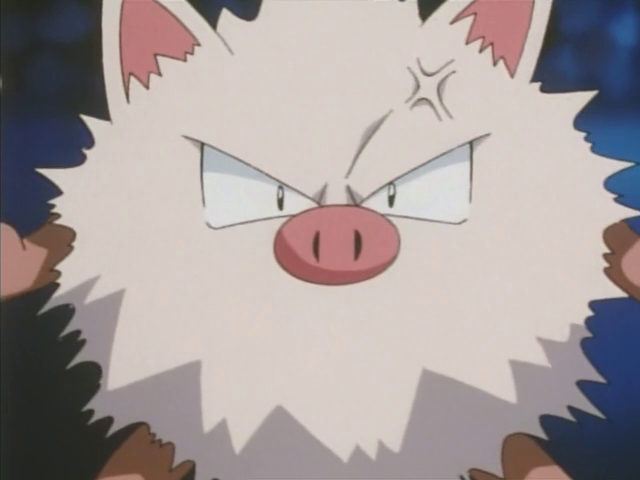 As a matter of fact, if he is nervous or in a bad mood he tends to lose his temper easily. 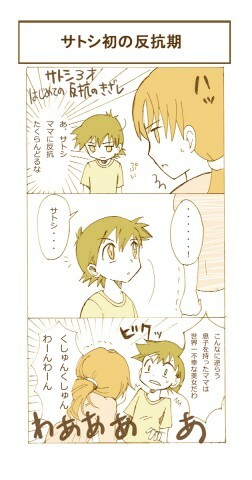 However, at the same time, he can be very patient. 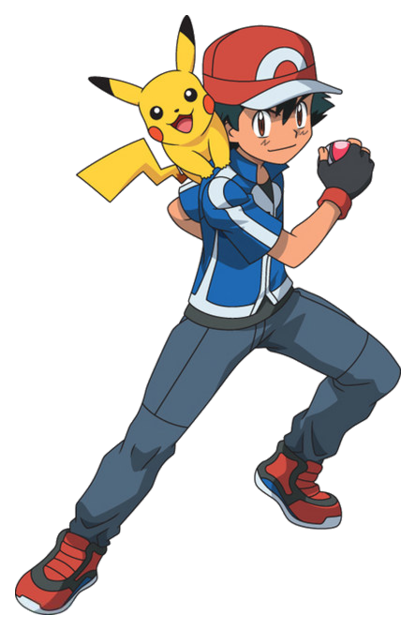 Let’s take Paul as an example, that is Ash’s rival in the Diamond&Pearl series. 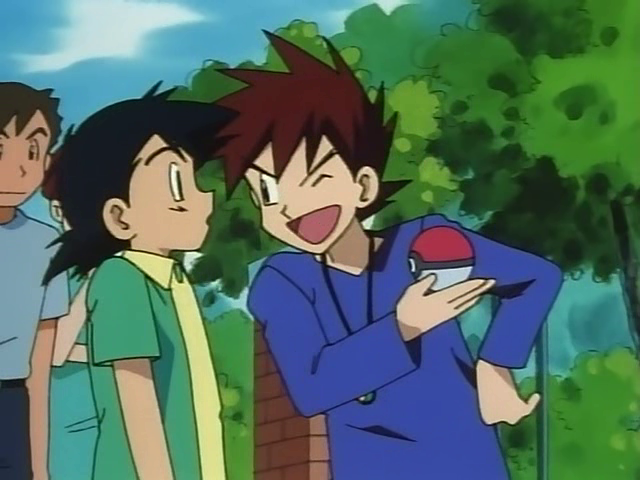 Although Paul often insulted him, Ash has always been kind to him. 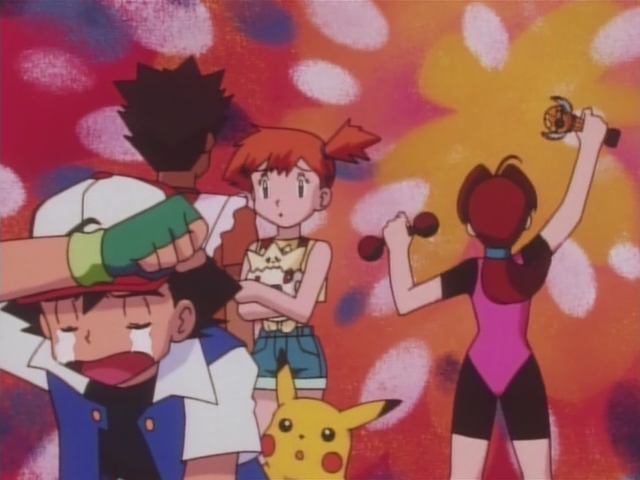 Obviously, on those occasions, Ash firstly came up with a retort and knew how to be respected. 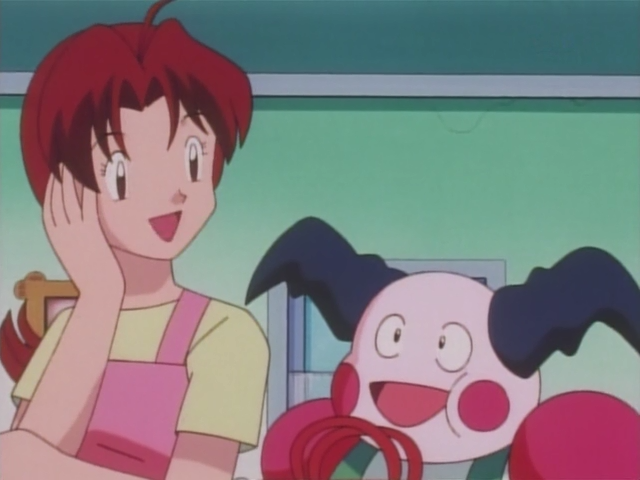 However, shortly after he always tried to make some kind of friendship with him. 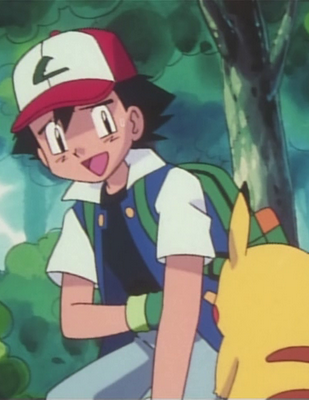 So many times Paul insulted him, as often as Ash tried to be kind to him. 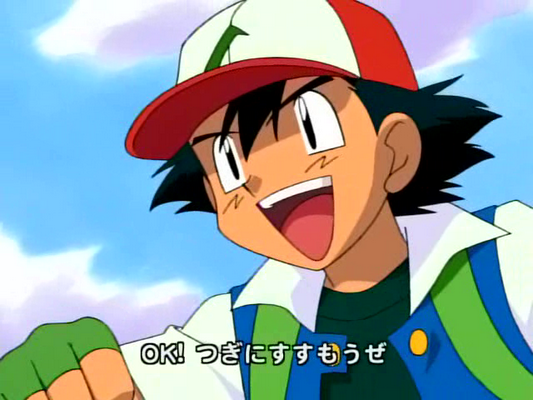 This is a fe ature of Ash that emphasizes his personality. 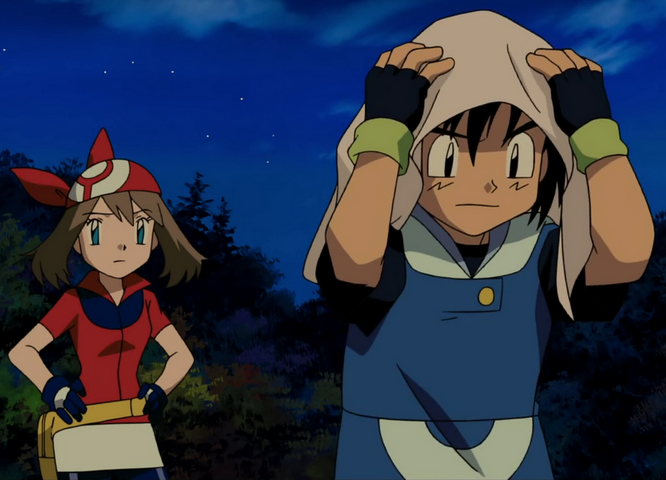 Ash also tends to be much more patient with those who are constantly kind to him, as if he perceives that in some cases his bad reaction might particularly offend the person next to him. 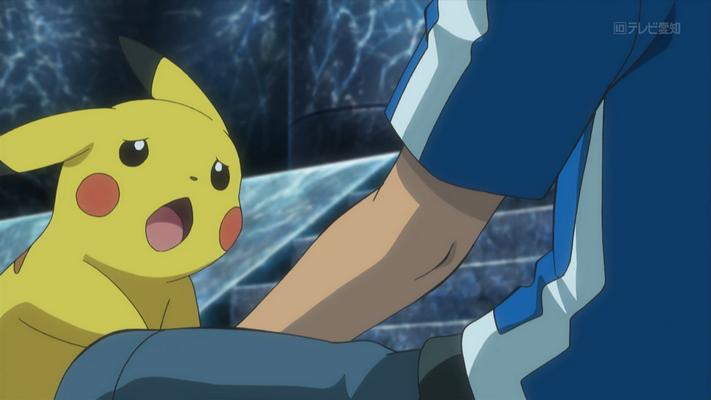 Talking about perception, Ash is particularly well known for his empathy. 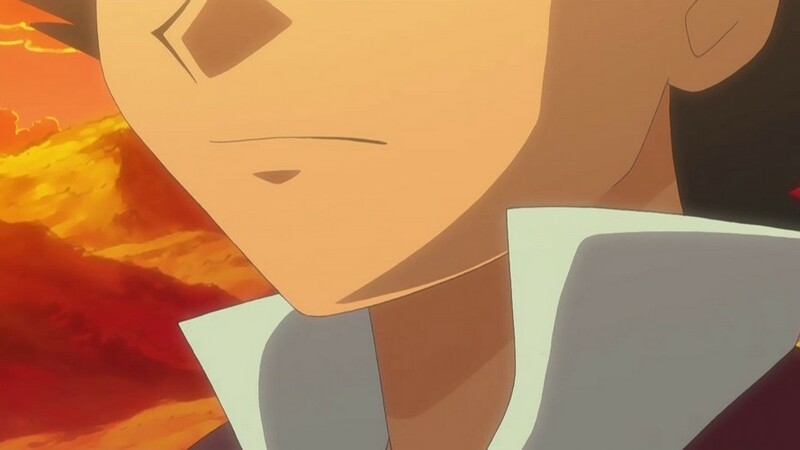 It is in fact possible to notice from the episodes that he has some sort of “sixth sense” thanks to which he is able to understand immediately if someone is sad or demoralized. 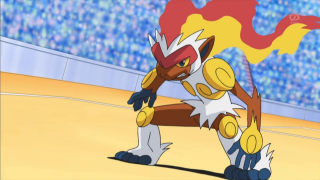 For example, in the episode “Team shocker!” (DP Battle Dimension series) Dawn, deeply disappointed for her defeat at the Solaceon Town Pokémon Contest, nervously tightens her fists. 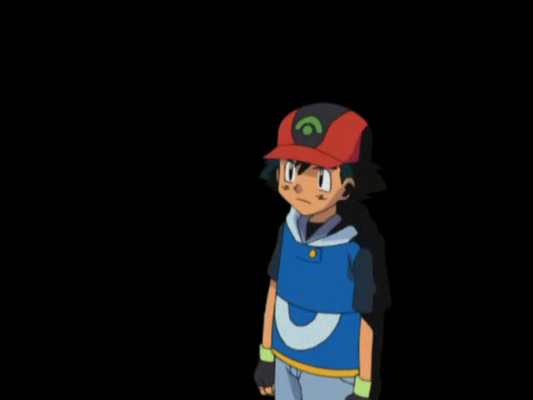 Ash immediately notices and realizes that in fact something is wrong, although the girl said she was fine. 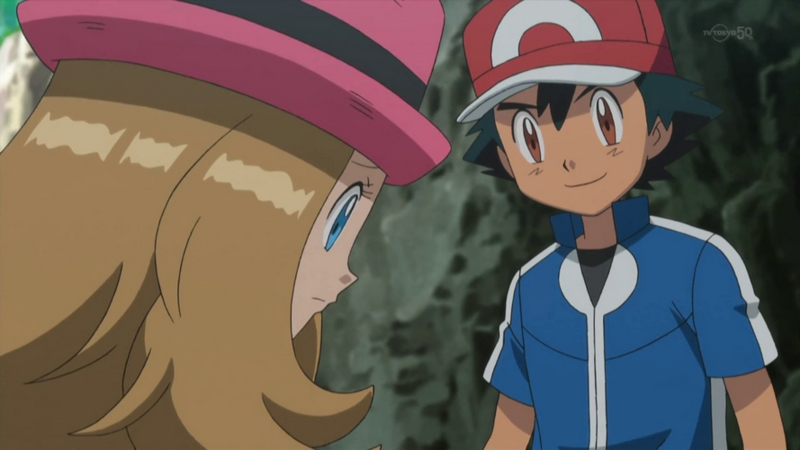 Even though Ash is totally naive about love matters, he understands when someone cares particularly for him. 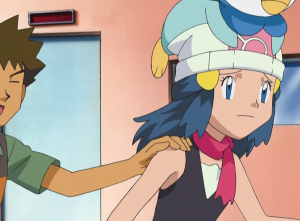 To cite another example: in Serena’s case, Ash obviously hasn’t understood that she is in love with him; however he understands or realizes that their friendship really matters to her. 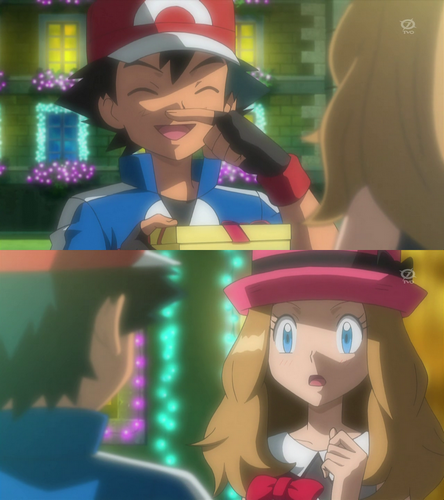 This is why Ash adopts many caring attitudes towards her, like paying compliments or giving her gifts, as seen in the episode “Under the Pledging Tree!” ( XY Kalos Quest series). 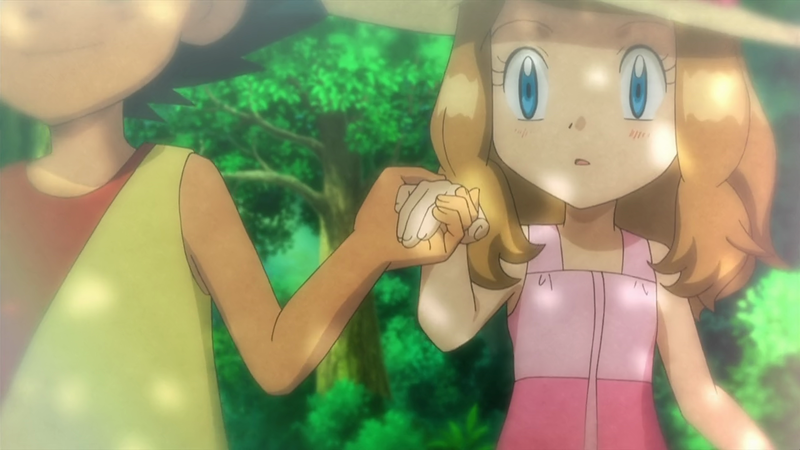 Serena is obviously the most present among the girls who openly demonstrate their love for Ash, so it’s easier to to take her as an example, but Ash has shown similar attitudes with other girls in love with him (such as Miette, Melody, Lyra, Macy and so on). 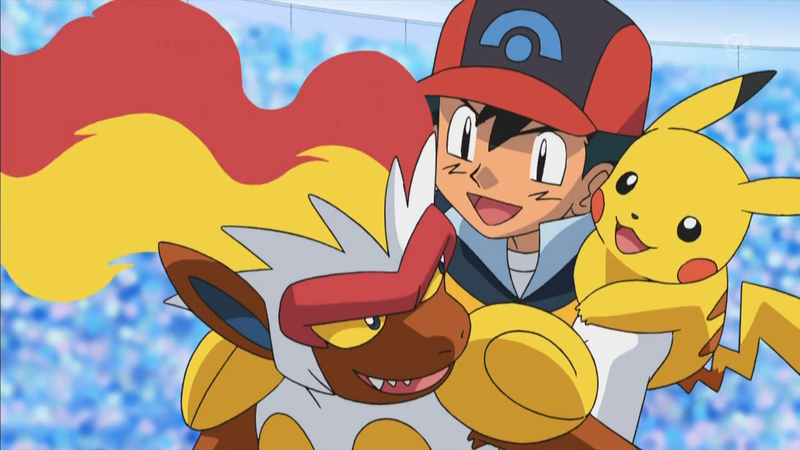 Ash also revealed that he can understand the feelings of his Pokémons, as if he feels the same thing they do (to quote his exact words). 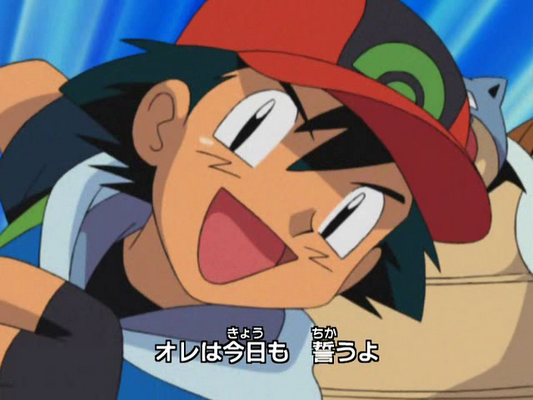 Moving on, Ash is famous for being really stubborn and this is the main characteristic for which they all know him. 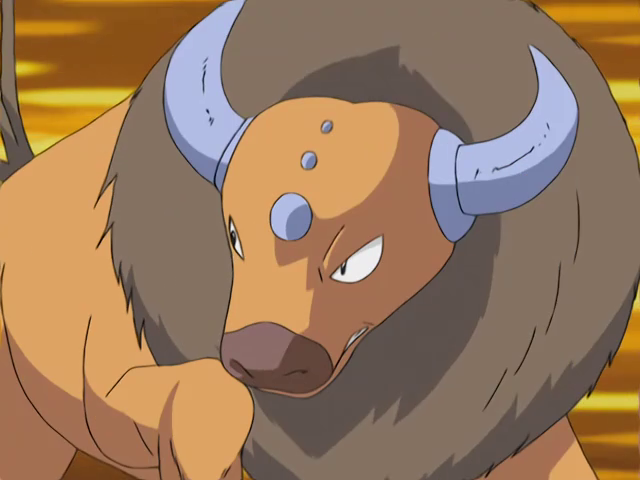 Resolute and determined, his motto is “Saigo made Akirameru Na” (literally: “don’t give up until it’s over“), so overflowing with optimism that for him it comes quite natural to transmit it to others and encourage those in need. But of course, I’m all fired up! 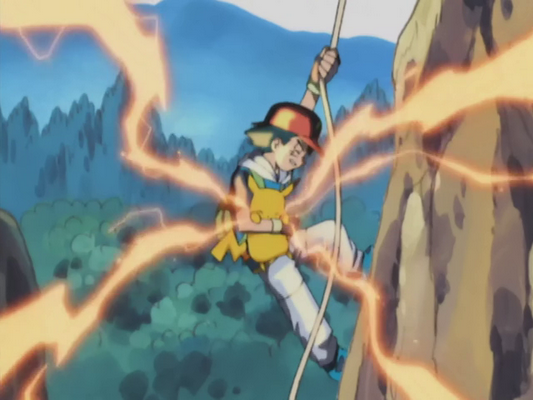 Does Ash ever have weak moments? The answer is yes. 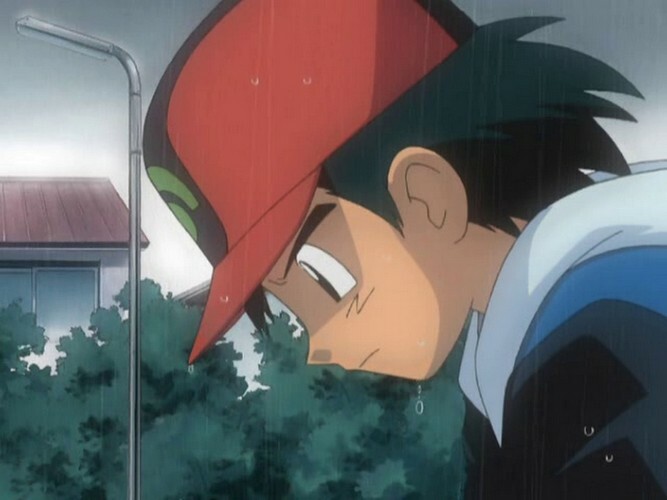 Anybody could be demotivated after disappointments and failures, Ash too. 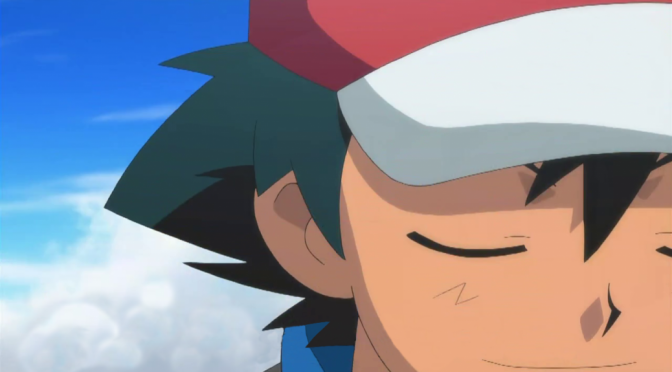 As stated in the japanese theme songs, Ash forces himself to always be positive and determined, because he actually hides some insecurities inside himself, as shown in some episodes when Ash loses his confidence apparently for no reason. 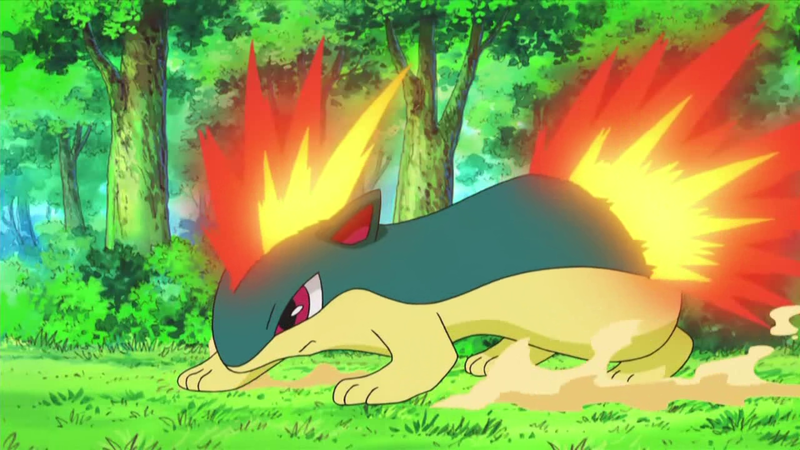 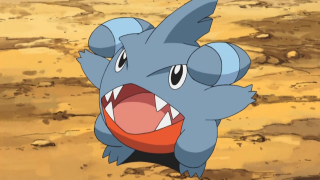 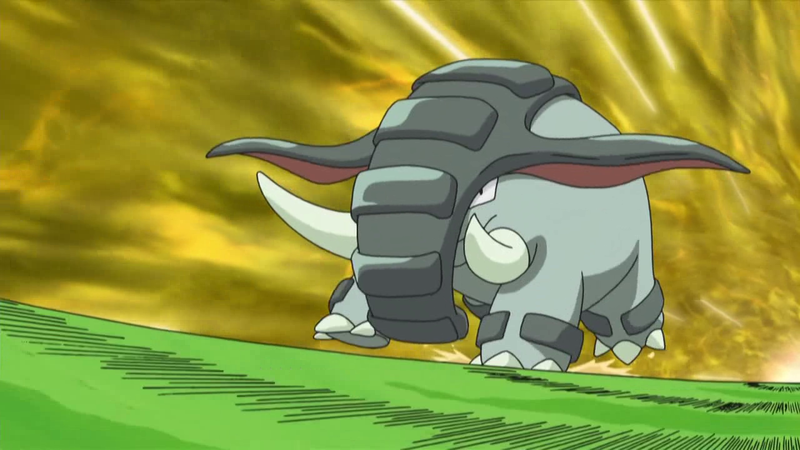 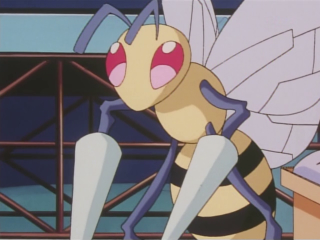 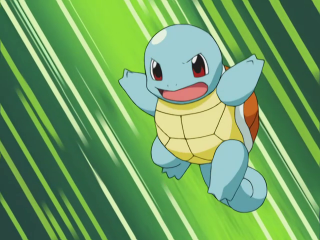 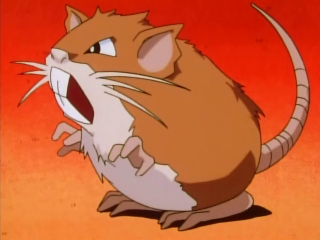 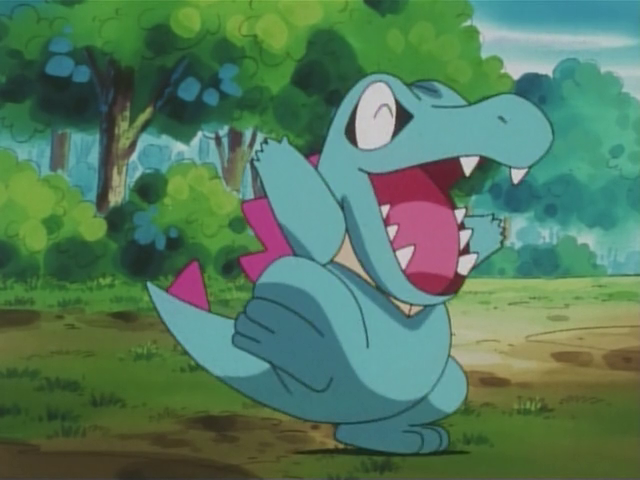 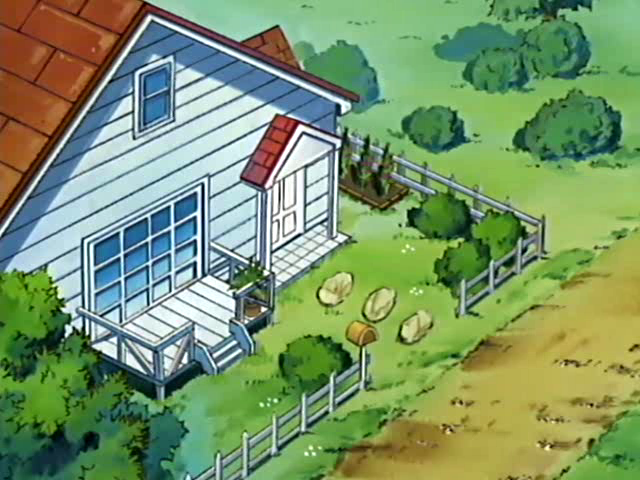 An example can be found in the episode “A Dairy Tale Ending” (Johto League Champions series) where after being defeatet for the first time by Whitney, Ash thought of giving all up and going back home. 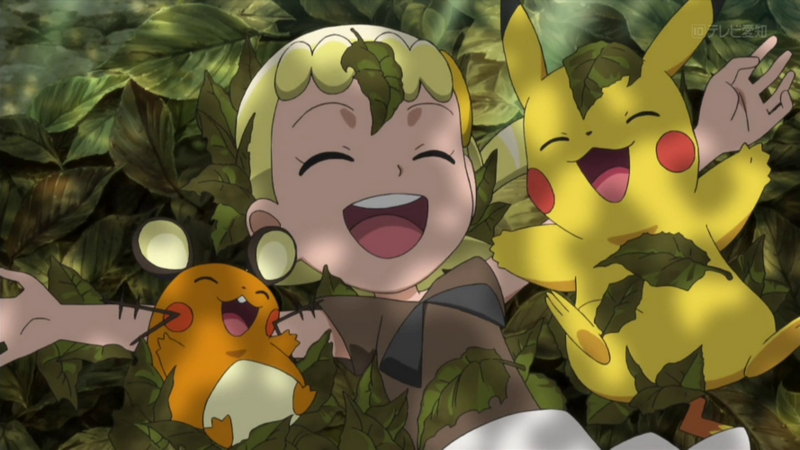 As already stated in the article “Ash’s sunny and positive personality“, in the DP there’s a character who really mines Ash’s positivity: Paul. Paul is a trainer with very cold methods, severe and intransigent. 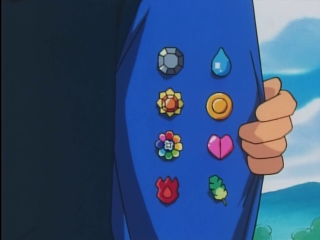 He treated his pokémon with extreme strictness. 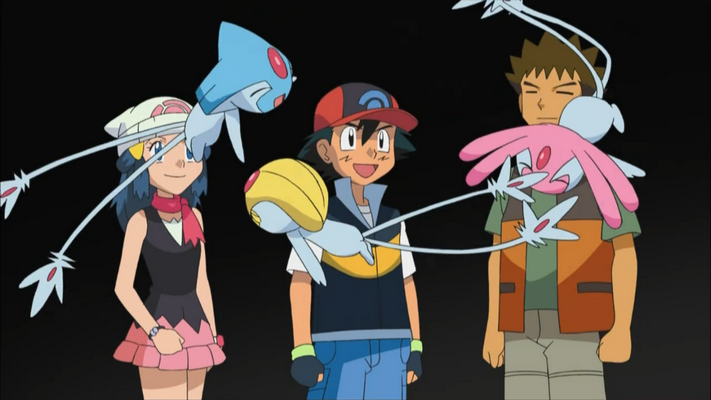 Ash oblivously was completely against these methods, because he knows well that Pokémons must be treated with kindness. 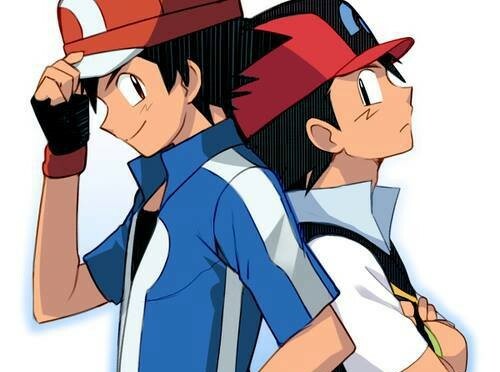 Therefore he firstly faced Paul with a confident attitude, to make him understand that… but Ash continued to lose against him. 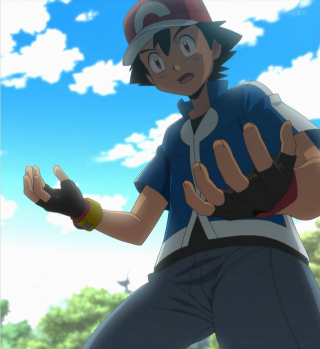 After the hard defeat at the Lake Acuity, Ash literally had a breakdown and started to ask himself if perhaps he was doing it all wrong. 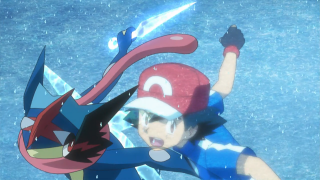 The shots that do not show Ash’s face for the rest of the episode “Evolving Strategies!” (DP Galactic Battles series) emphasize his mood in that moment. 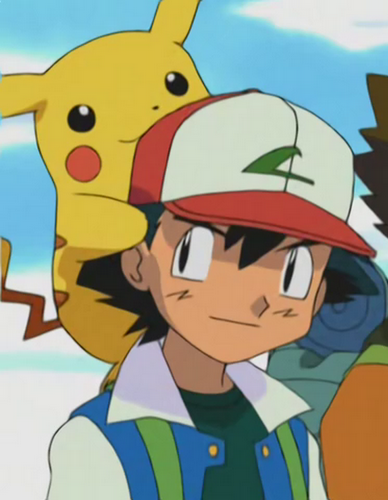 Luckily, as we all know, Ash never decided to give up, eventually managing to make Paul more gentle towards his Pokémons. 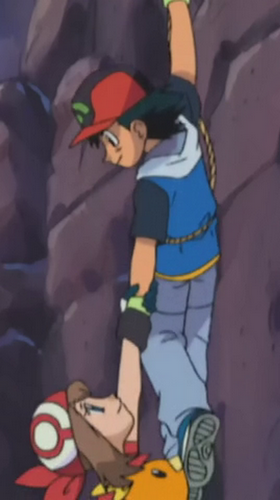 Ash tends to lose his confidence when he feels lonely. 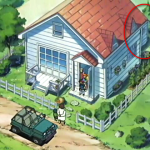 Although he spent his childhood playing on his own, he lets slip that he hates solitude. He defines it”Very hard” and “the cause of suffering”, describing it like he experienced that on his own skin. 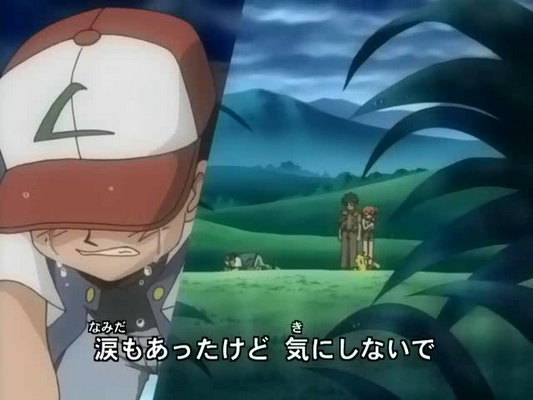 That makes us understand that he felt really lonely even if, as always, he never made it obvious. 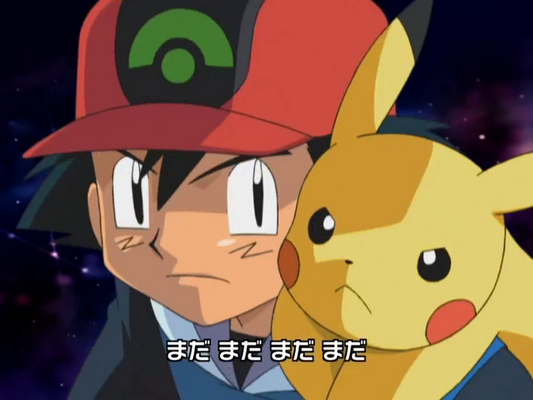 The lyrics that you have just read may also refer to the moment when Ash saw his mother crying because of their family situation. 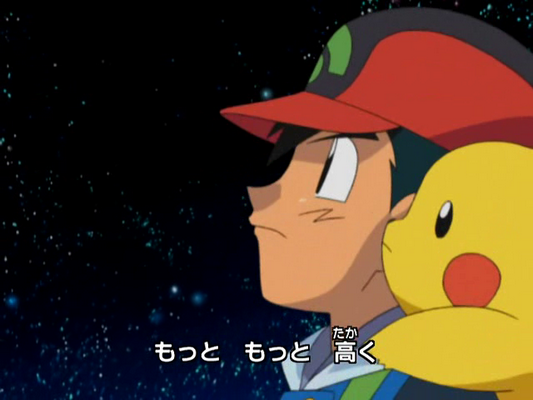 At the end of the Johto saga (after the first separation from Misty and Brock) Ash was really sad, so Pikachu made him understand that he’ll never be alone again, and that he had it, his best friend, by his side. 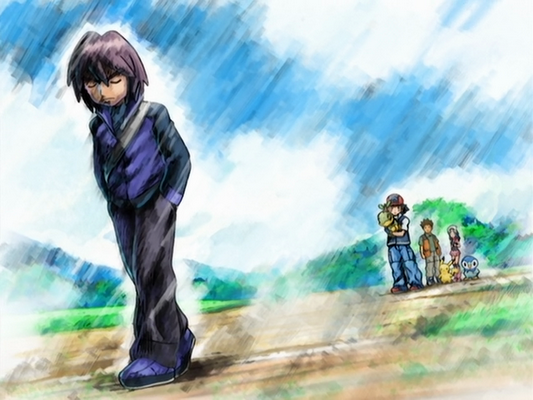 Loneliness is a recurrent theme in the japanese lyrics. 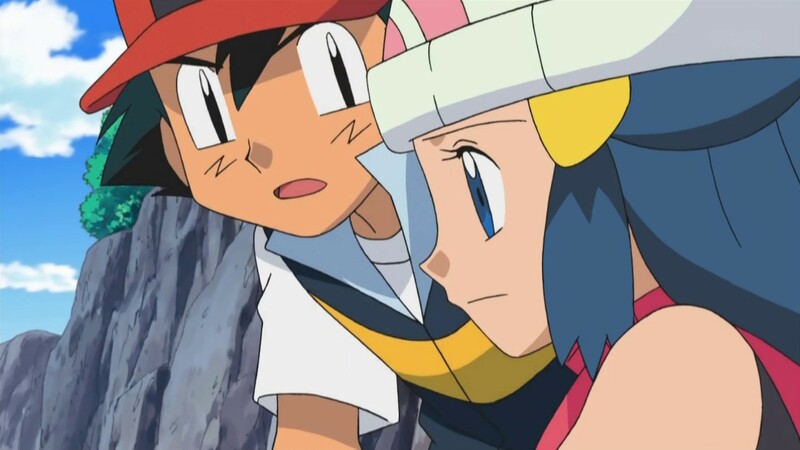 It is from those, and also from some episodes, that it becomes particularly clear that Ash is scared and hurt by it. 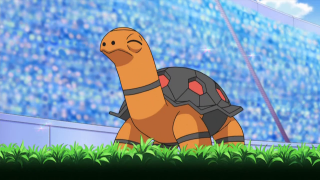 They’re more reassuring than I thought! 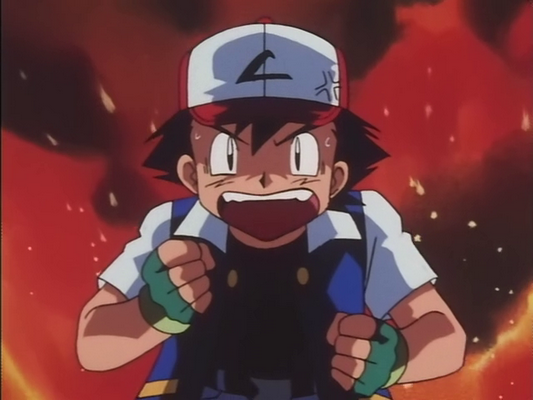 Let’s end the section with some things that anger Ash. 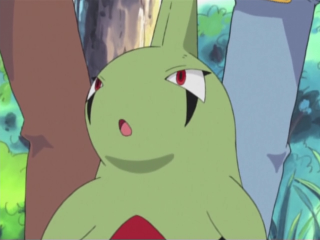 – Finding out about people who steal or exploit their Pokémon for money or shady dealings. 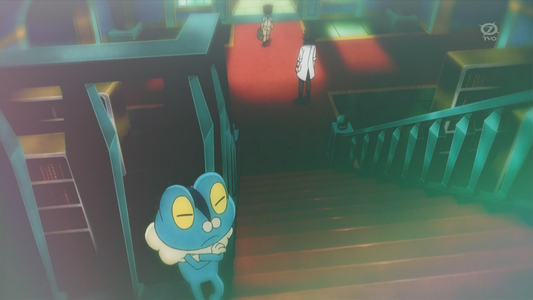 – Being too far off Pikachu, especially if he’s worried about it. 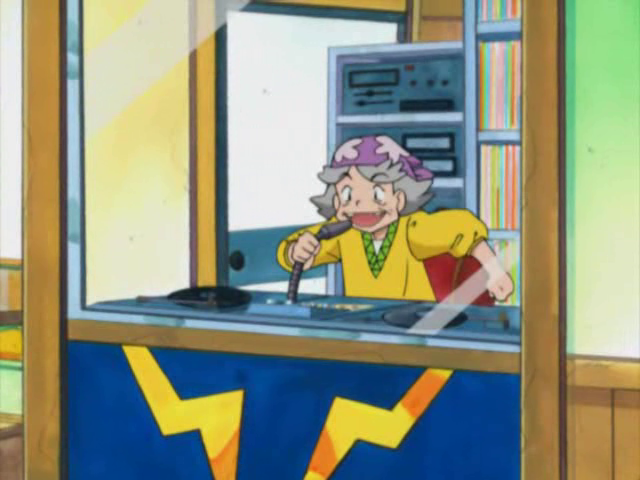 LD3005 is an italian boy, born in 2000, with a strong passion for the Pokéworld and music. He has a radiant and cheerful personality. 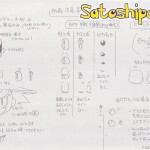 Main composer and arranger of the Hoseki Team, he's leader of its own RPG project, Pokémon Legends Arise, set in Sinnoh. 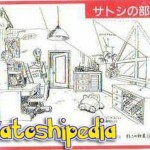 He made a big effort to translate the Satoshipedia. 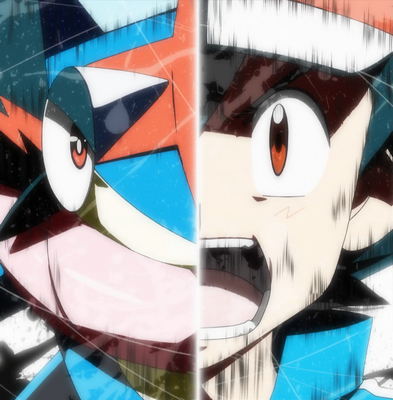 Note: Black & White has to to be considered a separate series, not correctly connected to the main anime (HERE for clarification). 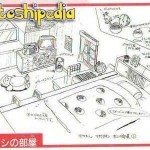 However, in this article there are some references which mention the discrepancies present inside the series. We can’t start talking about Ash without having clarified first the question about his age. 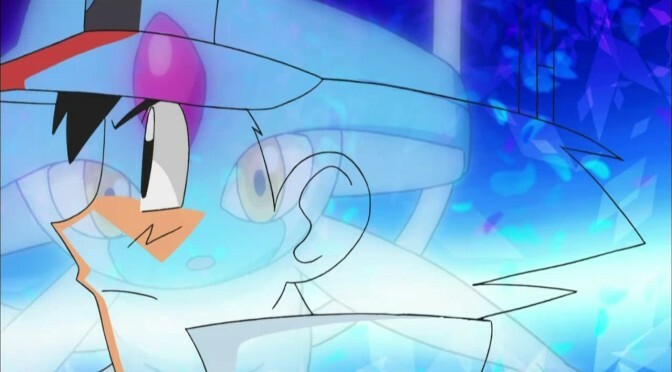 > The first animated series, in which OFFICIALLY has passed more than a year: in the various episodes were regularly inserted tips about the passage of months. 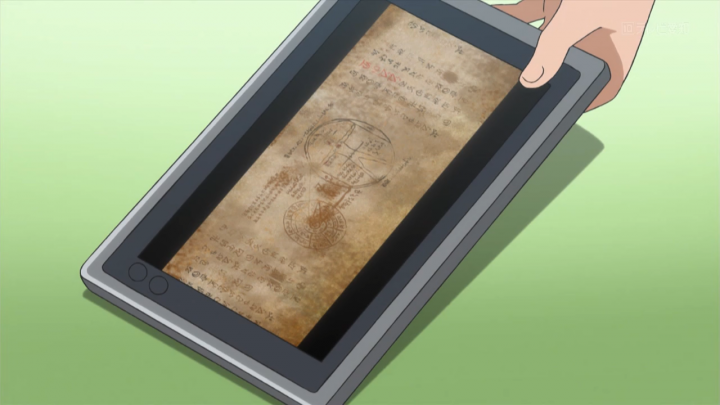 Therefore, you can know with absolute certainty the period of time of each episode. 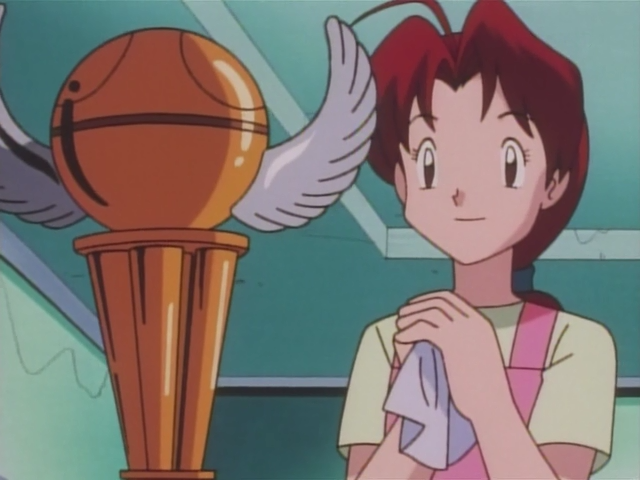 > The episode in the Rival Destinies series “Goodbye, Junior Cup – Hello Adventure!”, where Dawn clearly says that a year has passed since her participation to the previous Wallace Cup, so it’s impossible that Ash was nine in that series. 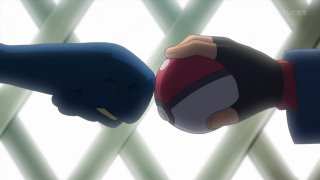 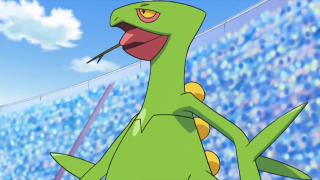 > If we take into account the months elapsed that were mentioned in the episodes, together make more than ONE YEAR in the timeline of Pokémon anime (two monts after Ash’s departure in the episode “The School of Hard Knocks“, two months before the Indigo League in the episode “Showdown at the Po-ké Corral“, one month before the Wirl Cup in the episode “Around the Whirlpool“, three months before the Silver Conference in the episode “Why? Wynaut!“, three months before the Hoenn League in the episode “Eight Ain’t Enough“, one month before the Kanto Grand Festival in the episode “New Plot, Odd Lot!“, one month before the Sinnoh League in the episode “The Eighth Wonder of the Sinnoh World!” and two months before the Unova League). 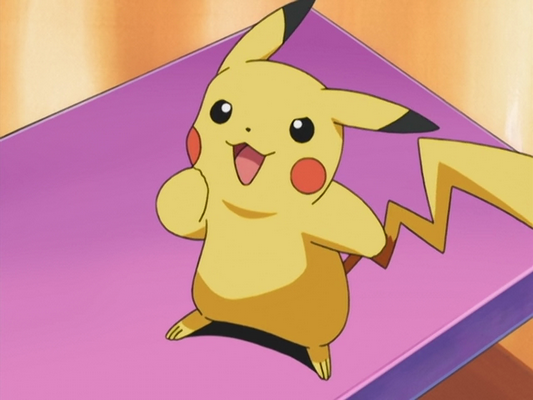 > The third mini-movie (Pikachu and Pichu Brothers), where Ash celebrated the anniversary of his meeting with Pikachu. 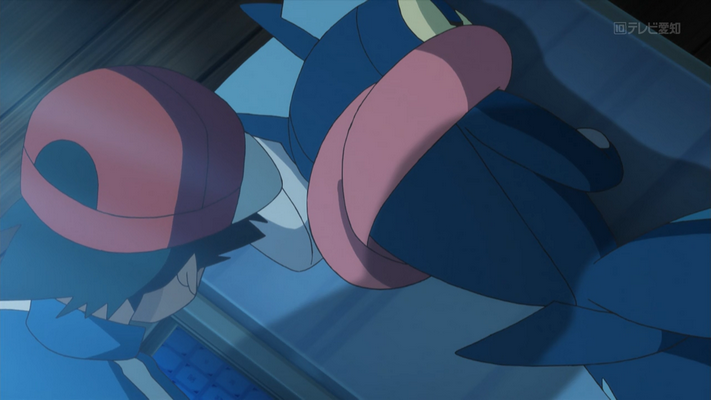 It was not the first anniversary and the movie must have took place between the 4th and the 5th season (for reasons you will soon read) but anyway there is NO DOUBT ABOUT IT: since Ash’s departure, more than a year has passed. 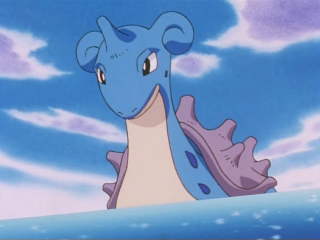 > The growth of Ash’s Lapras, who changed in appearance in one of the last episodes of “Master Quest”. 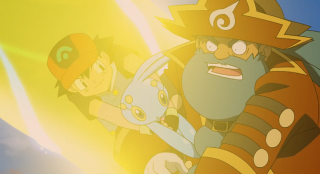 > In the book This is Animation Pocket Monsters The Movie “Mewtwo Strikes Back” “Pikachu’s vacation” Takeshi Shudo explains that between Mewtwo’escape from the Team Rocket’s base and the moment in which Ash received the invitation for New Islan, a year passes. 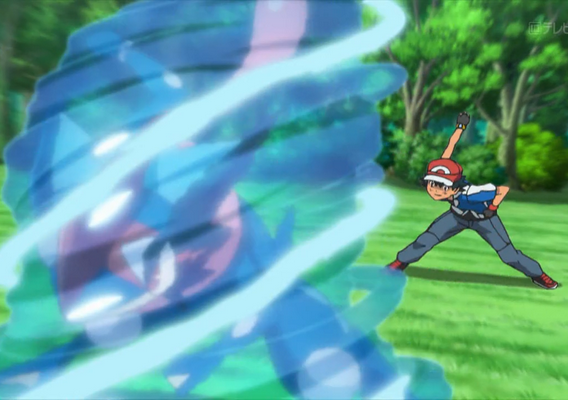 Anime writers have decided to make pass only a couple of months (since Mewtwo’s escape is present in the episode titled “Showdown at the Poké-Corral“), thus proving yet another mistake concerning the timeline in the anime. 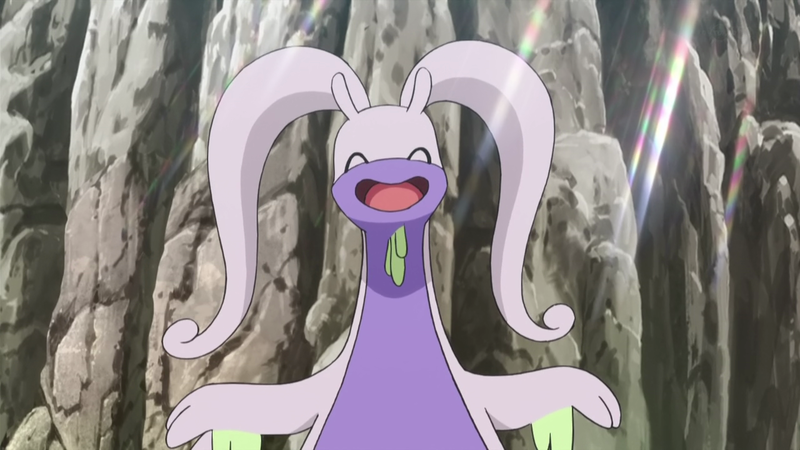 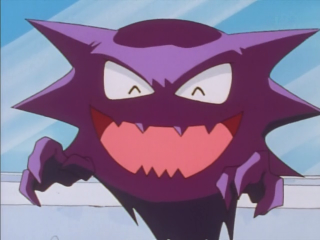 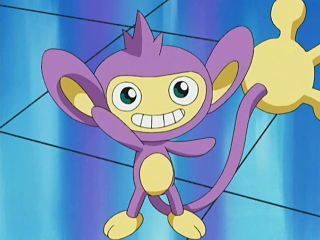 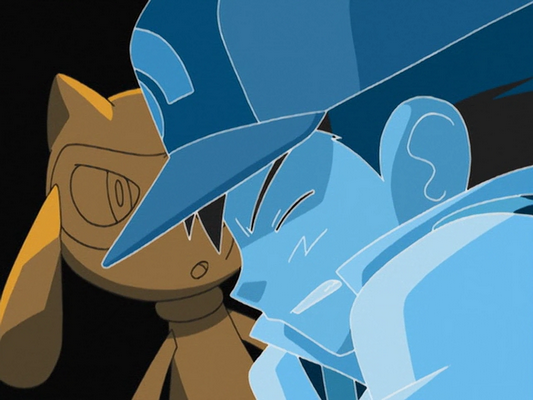 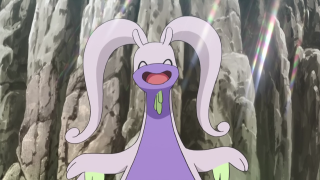 The film “Mewtwo Strikes Back“, indeed, has a precise collocation in the anime: the events took place between the episodes “The Pi-Kahuna” and “Make Room for Gloom“. 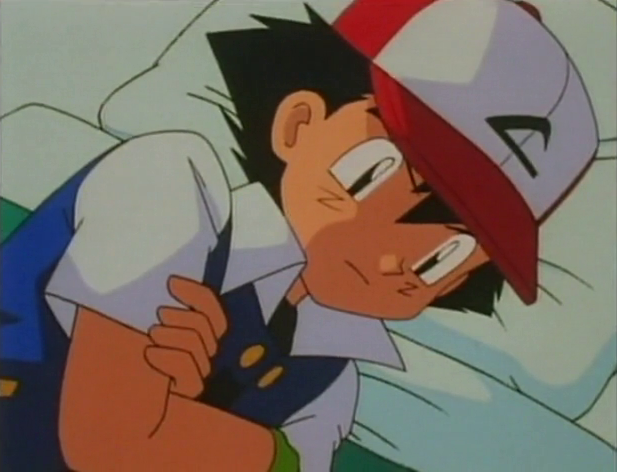 > Several trainers visibly younger than Ash, have already obtained their first Pokémon (Including Trevor and Scottie, in recent episodes of XY), but, as you know, it is NOT possible to receive the first Pokémon from a Professor or affiliates BEFORE having turned 10 years old. > In the episode “A Goldenrod Opportunity” (Pokémon Johto League Champions), the Magnet Train was not built and it needed a year to be completed. 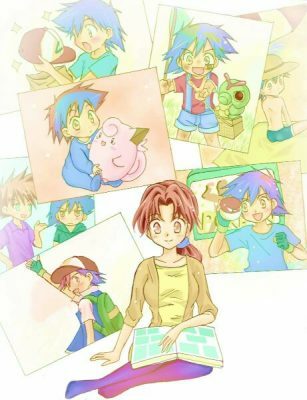 In the Best Whishes episoded where Iris and Cilan decide to travel from Kanto to Johto, they decide to use that same train, showing even in this case the passage of years in the series. 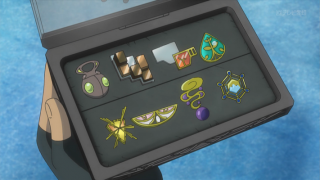 Also, in the recent episode “A Festival Trade! 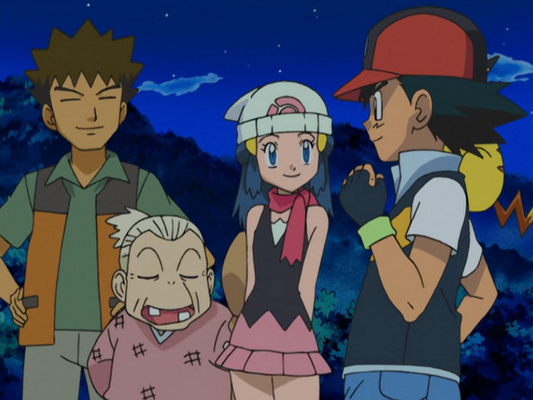 A Festival Farewell?” of the XY series, Jessie makes a reference about her birthday (in the Japanese version too) that was even celebrated during the same XY series. 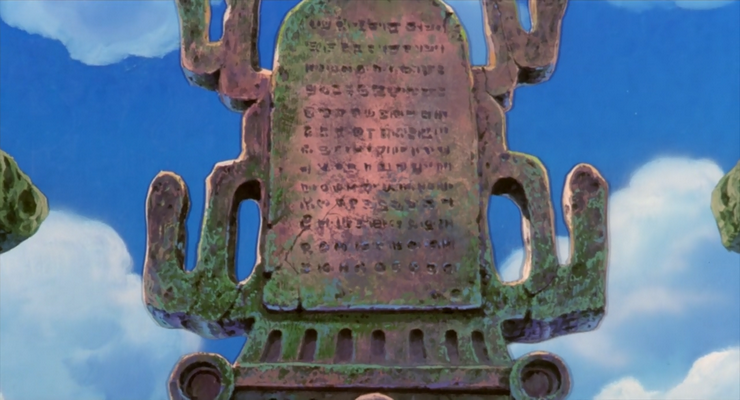 Demonstrating once more that, in the story, there is a passage of years. More reasons in the article I linked above. 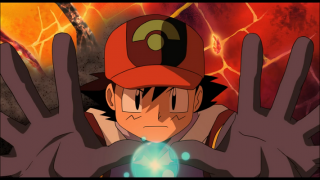 As for the official information given by the creator of the animated series, we are going to open a broader case concerning the age of Ash in the various series. 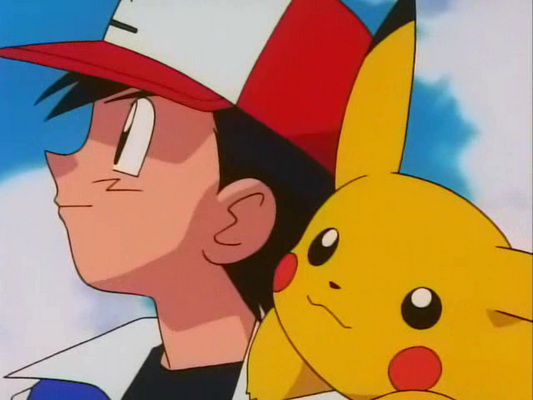 Takeshi Shudo, creator of Pokémon Anime, published two books in 1997 and in 1999 that unveiled some of the secrets of the animated series (if you are curious about it you may check THIS LINK for a detailed summary of the books), including the truth about the day of Ash’s departure on his journey. 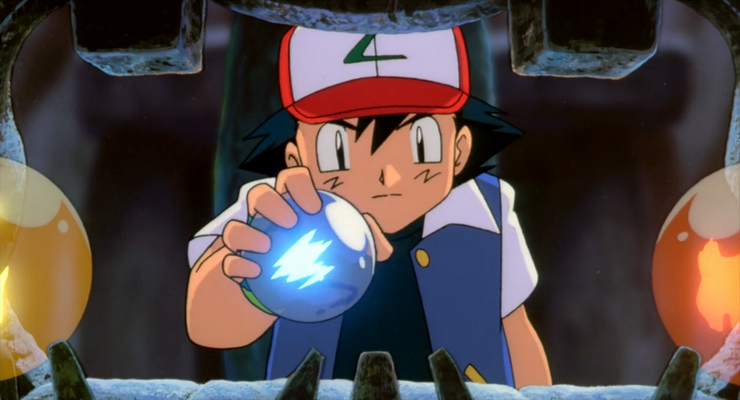 In Pallet Town it existed the rule that new trainers could begin their formative journey on APRIL 1st following their tenth birthday. 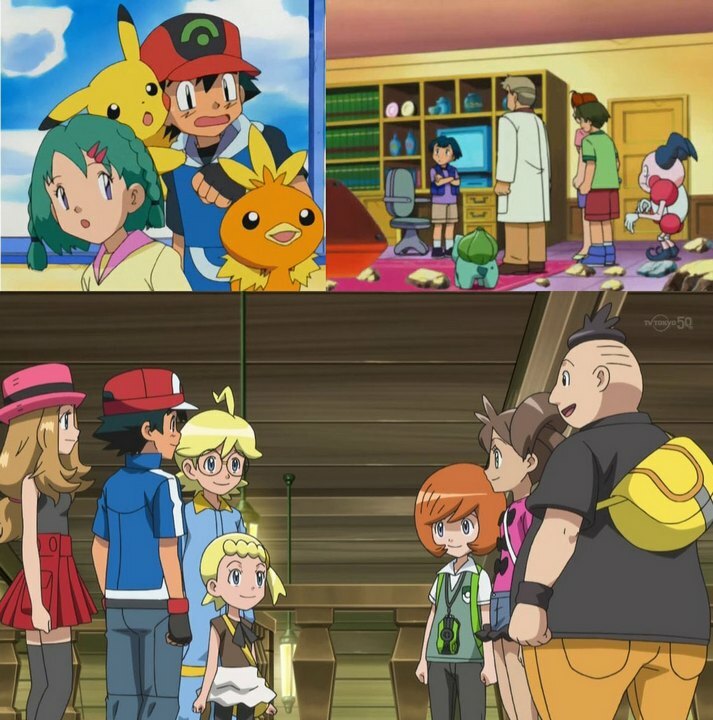 This fixes the inconsinstency in the first episode of t he animated series in which it’s said that Ash was leaving because hejust turned 10, but at the same time Gary and other two trainers left with him. 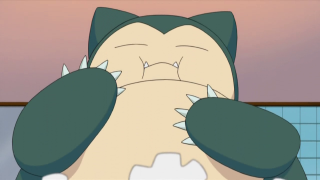 Was it everyone’s birthday, perhaps? 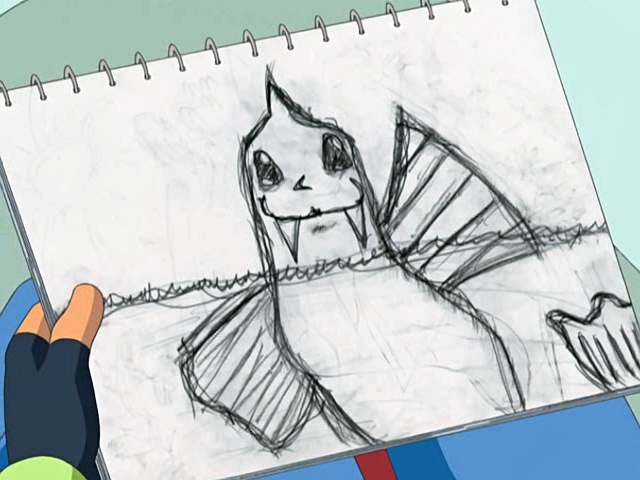 No, simply the writers have made a mistake. 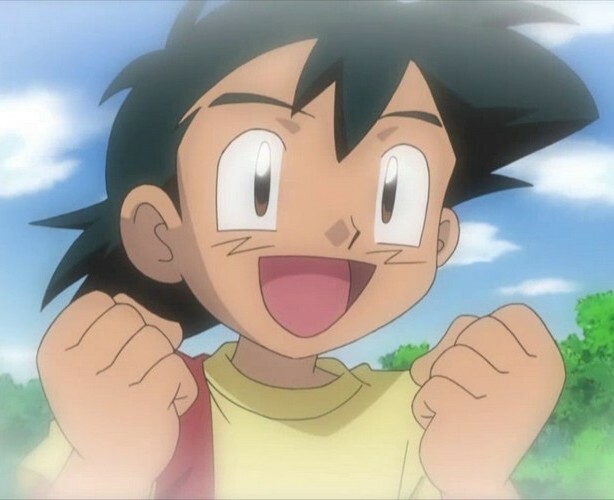 Takeshi Shudo also revealed that on the day of his departure Ash was exactly 10 years, 10 months and 10 days, so, starting from April 1st and going back this amount of time, it is possible to determine the date of his birth: May 22nd. 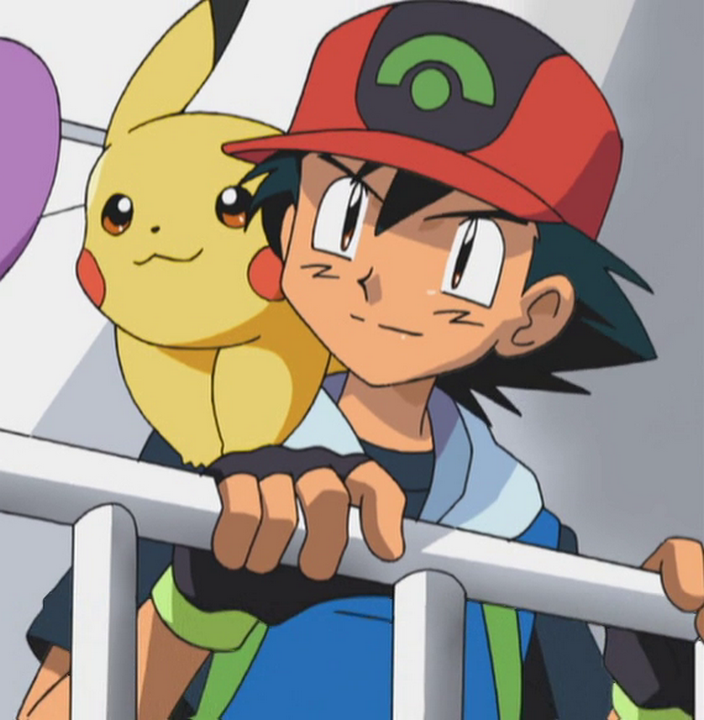 Basically, Ash was almost 11 when he left. 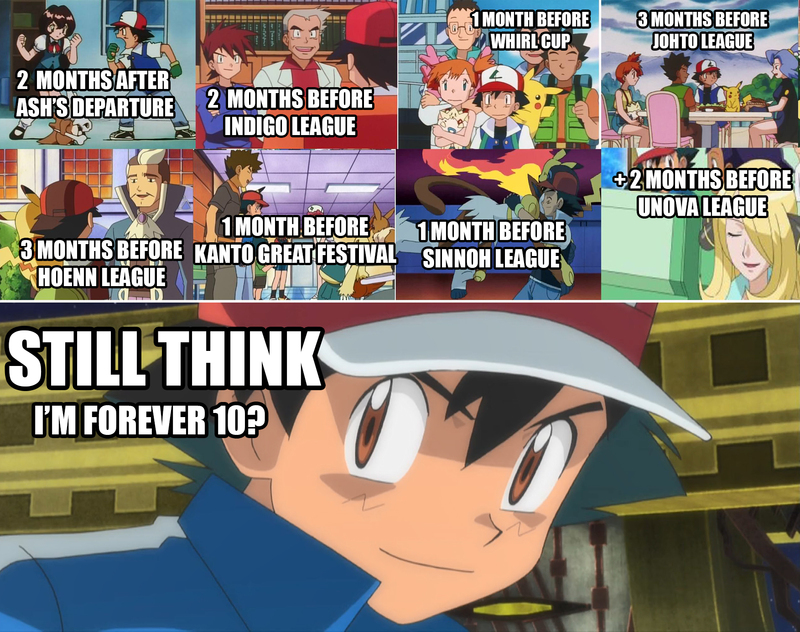 Since during the 9th episode of the animated series it was made clear that two months have passed since Ash’s departure, here’s another confirmation that he has been 10 years old only in the first 6-7 episodes of the animated series. 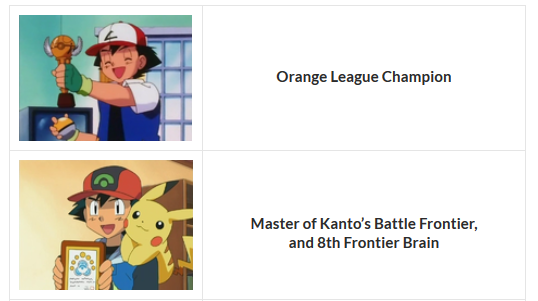 In the Orange League Ash was 12. 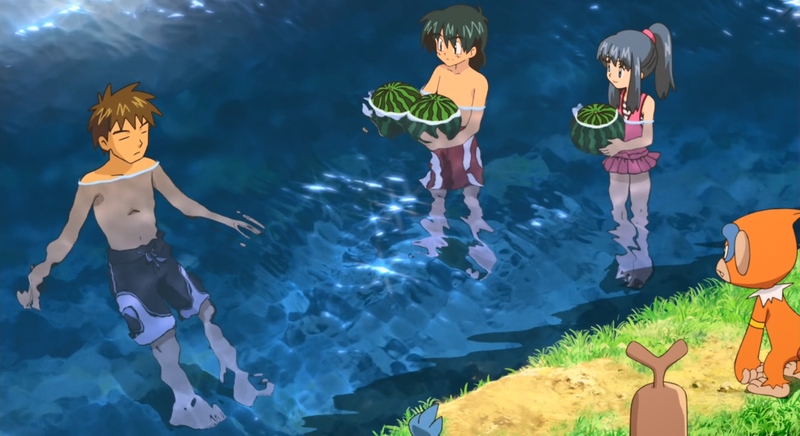 Summer was confirmed in that period (the 2° movie). 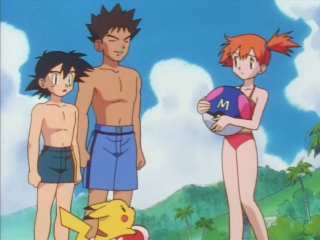 The previous summer (the one in which Ash was 11) was in the period of the censored episode “Beauty and the Beach”. As already mentioned, in the first series were inserted specific references to the months in which the episodes were set. 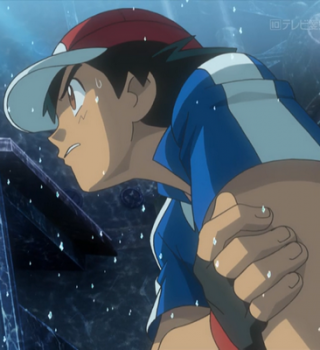 Ash left for his journey in April, and after 9 episodes May arrives. 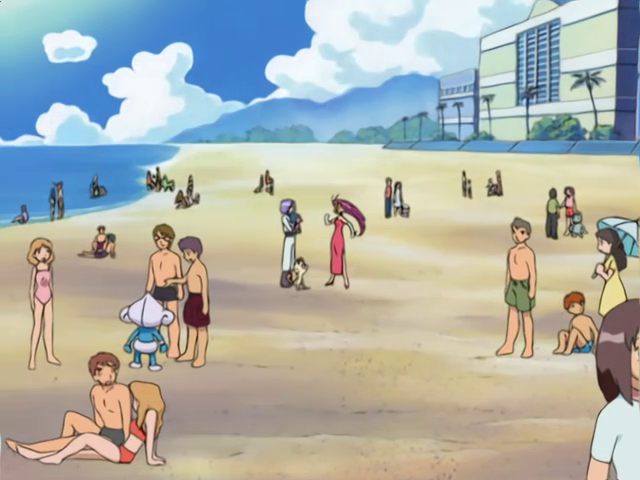 We clearly understand that the episode “Beauty and the Beach” was set in the adjacent summer. 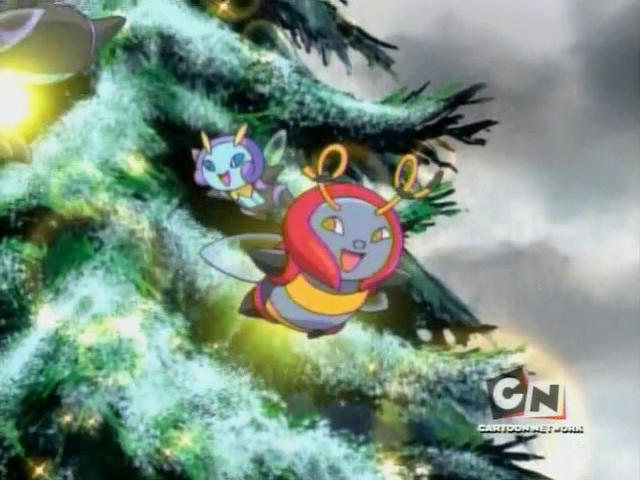 After several episodes (enough time to make 6 months pass) the events of “Holiday Hi-Jynx” took place (which, according to the OFFICIAL numeration, it’s the episode 39) and an episode of the New Year’s Eve titled: “It’s New Year’s Eve! 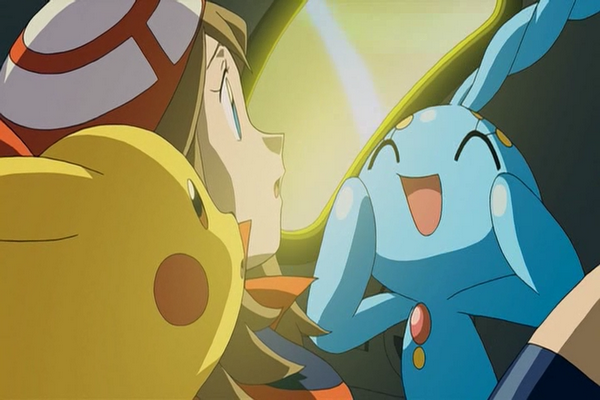 Pocket Monsters Encore” but which has never been broadcasted because of the scandal of the episode titled “Electric Soldier Porygon“. 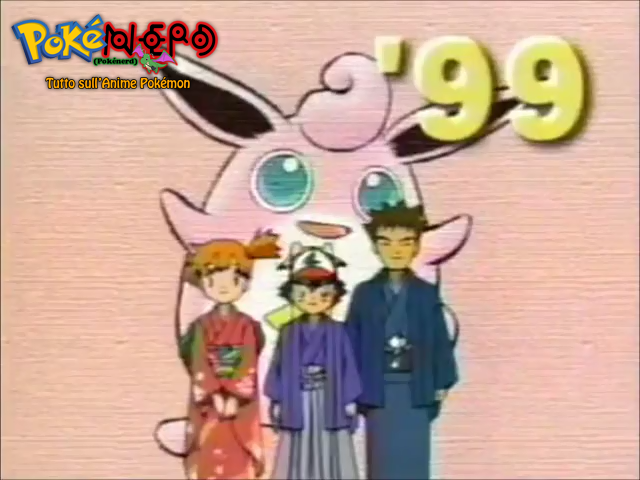 Another handful of episodes later we have “Princess vs. Princess” (which was postponed due to “Electric Soldier Porygon“, but remains the fact that according to the official numeration it’s the episode 50) set on March 3rd because it refers to the celebration of Hinamatsuri. 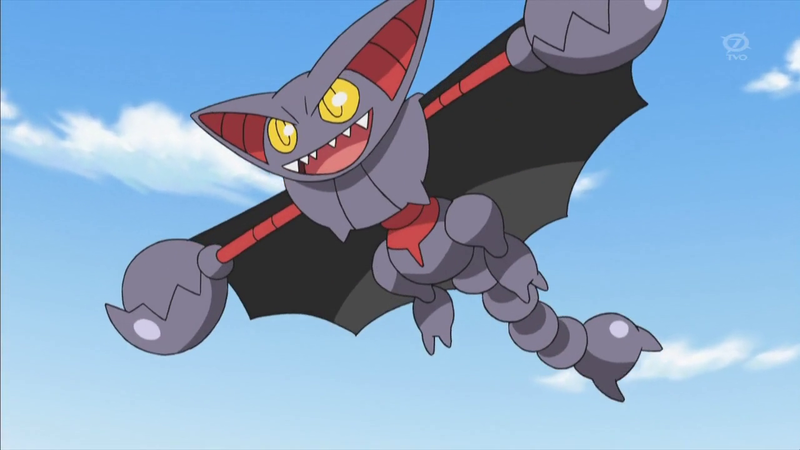 Five episodes later the events of “The purr-fect hero” (this episode was also postponed) were set on May 5th because it refers to the Children’s Day in Japan. 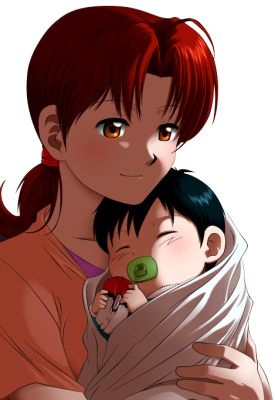 Here, a year has already passed. In the following episodes, it’s further confir med that it was Summer (the episode “Riddle Me This“, “The Breeding Center Secret“, etc.). 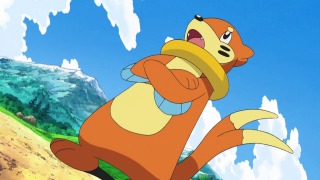 From there to the Indigo League another two months has passed, so the Indigo League was held in the month of July, while the Orange League was set around August/September. 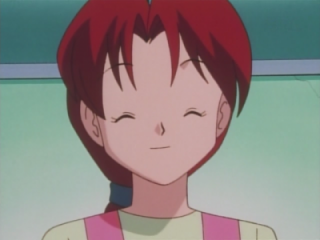 Together with Hideki Sonoda, Takeshi Shudo also wrote a novel dedicated to the film “Mewtwo Strikes Back” in which he explained that between Mewtwo’s escape from the Team Rocket’s base and the moment in which Ash received the invitation for New Islan, a year passes. 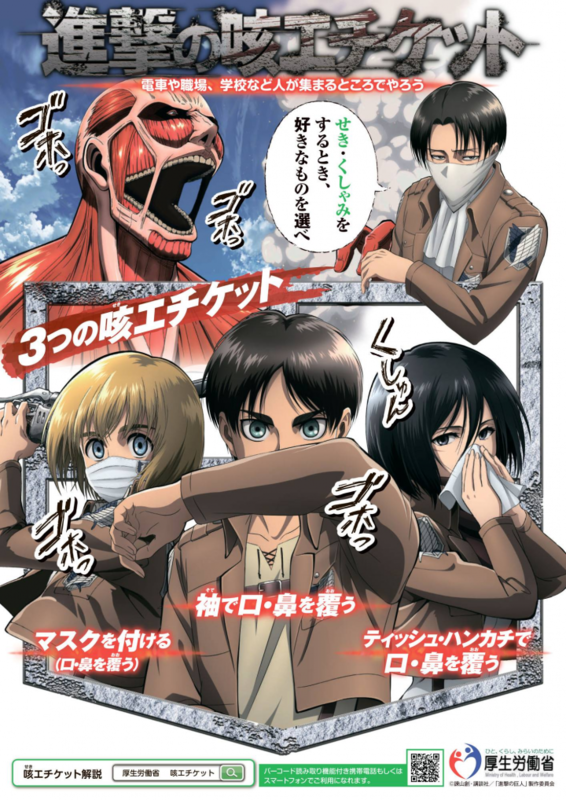 Anime writers, instead, have decided to make pass only a couple of months and this way they made another mistake concerning the anime timeline. 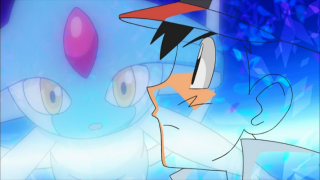 It is not clear, however, whether this year should be considered as an additional year which has to be added to the timeline or Shudo wanted to collocate Mewtwo’s escape and film in the same year in which the first series takes place. 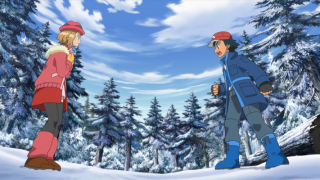 During the Johto League Tournament Ash was about 12/13 because Winter was confirmed during the Johto League Champions series (episode “Moving pictures”). 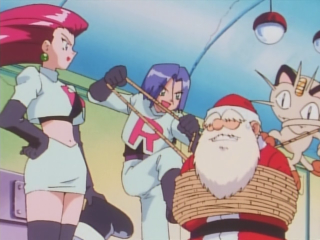 Two Christmas episodes of the Pokémon Chronicles series are also set in this period (consequently the episodes in The Johto Journey series were set during Autumn). 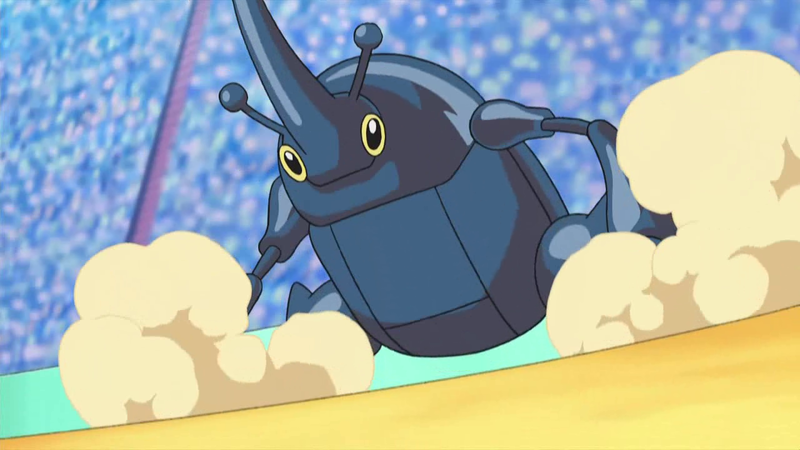 The League was held in the Spring/Summer of the same year. 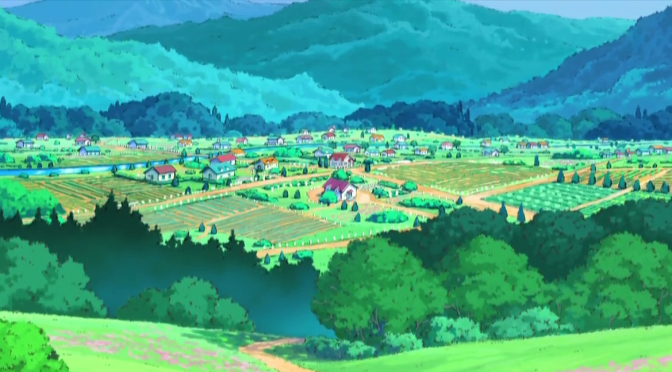 Note: The Hoenn region is the most southerly located region and is based upon the Kyushu island (Japan), where there is an almost tropical climate. 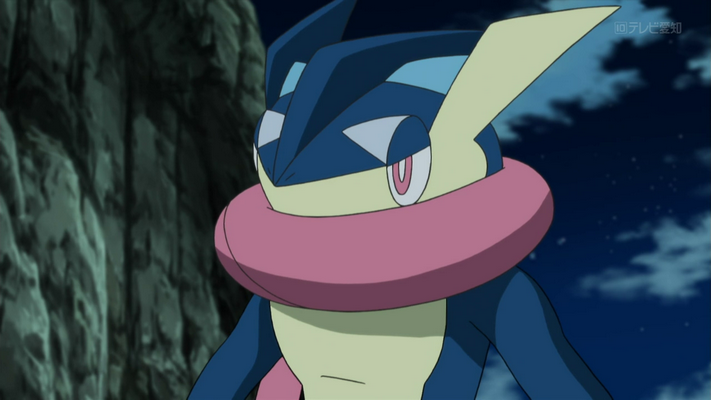 It may also be noticed in the anime during the episodes of the league, in which, although it was winter, it didn’t seem to be cold. 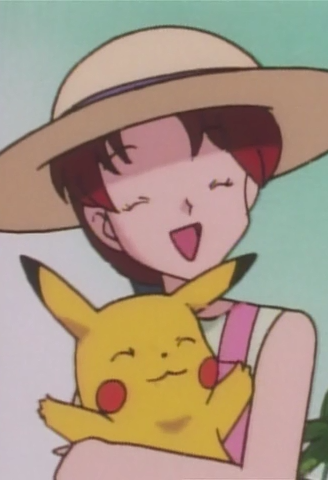 In addition, during this generation Ash has also reached Misty in height. 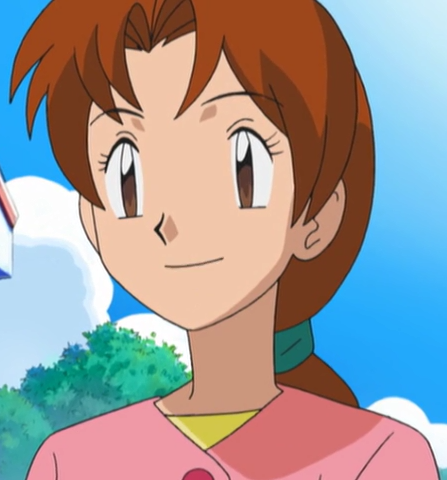 In Battle Frontier Ash was 14. 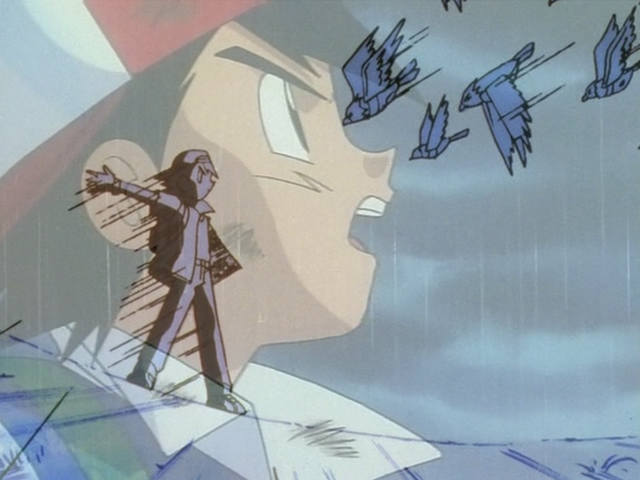 Ash returns to travel in the Kanto region, where his previous travel lasted one year. 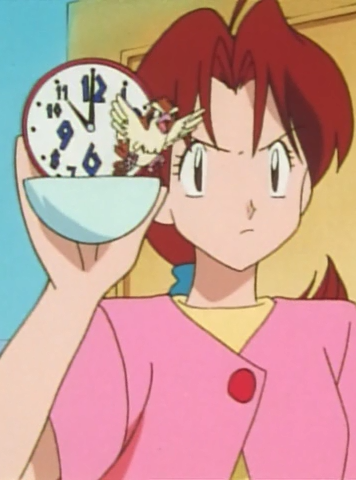 The series starts more or less during the Winter, in fact the episode “Time Warp Heals All Wounds” is set on the Christmas period, as in the Japanese air of it. 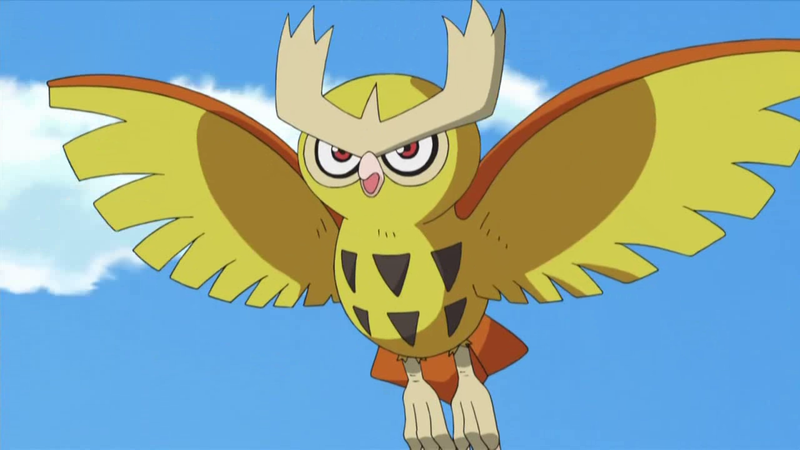 Later, in the episode “Spontaneous Combusken” it’s shown that it was again Summer, as was in the movie “Pokémon Ranger and the Temple of the Sea“. 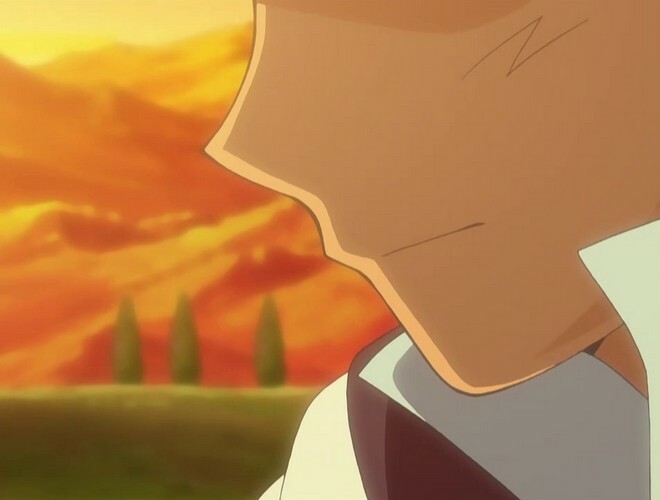 The last episode of the Battle Frontier series is clearly set on February, because in the Kanto region during this month the sun sets at around 5 PM, just as shown in the episode (further confirmation comes from the DP series which takes place in Spring). 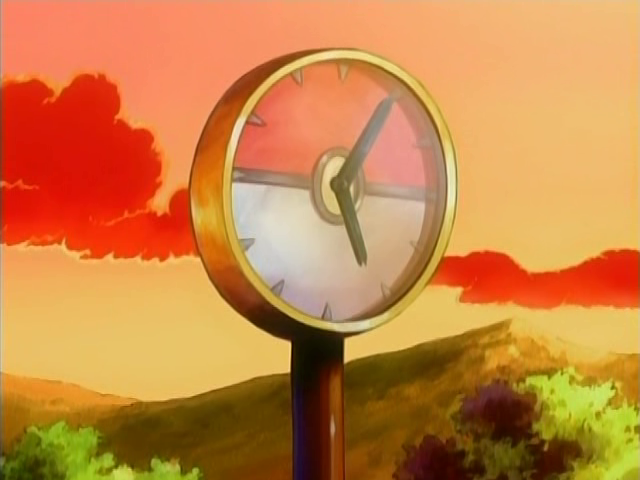 Since almost an year is needed to cross the Kanto region, this is the reason why the same amount of time has passed in this case too. 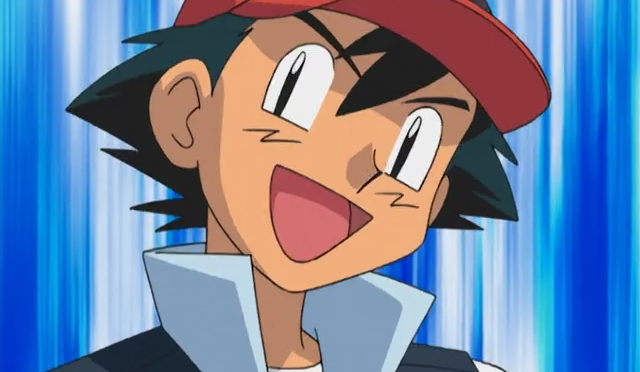 During the Sinnoh League Tournament Ash was 15. 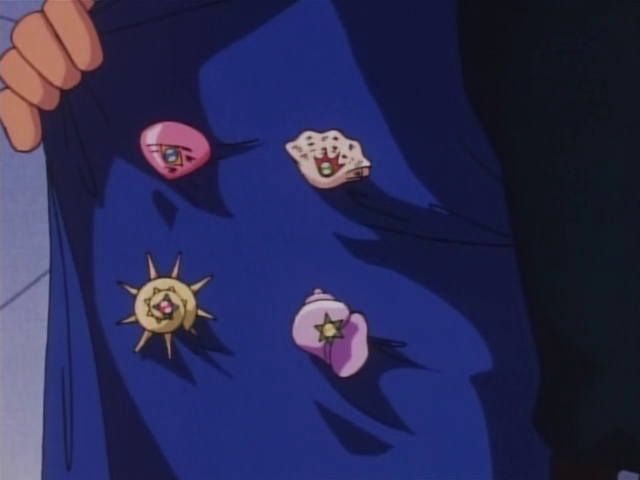 This was because in Diamond and Pearl series it was Spring and in Battle Dimension and Galactic Battles it was Summer. 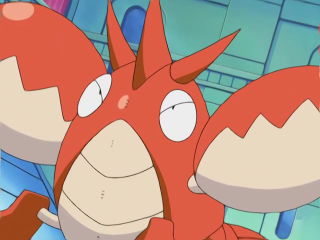 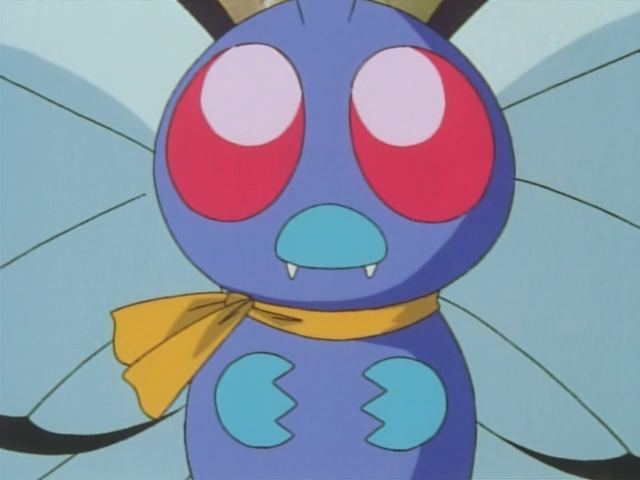 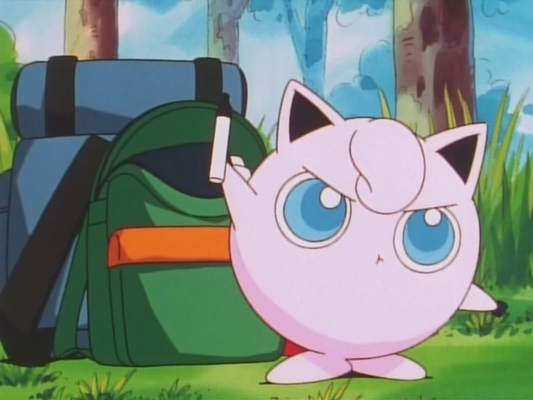 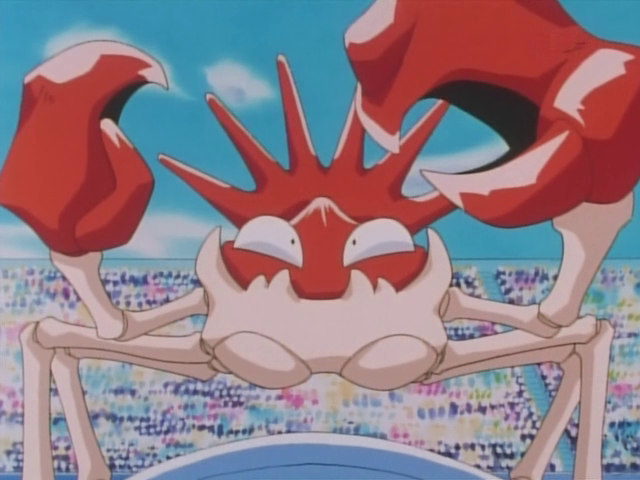 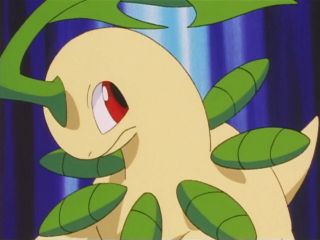 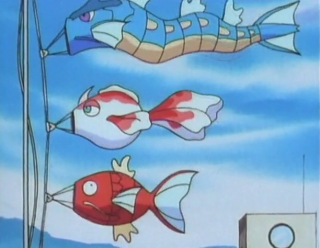 (The episodes of the Pokémon Summer Academy and the 12th movie were clearly set in the Summer). 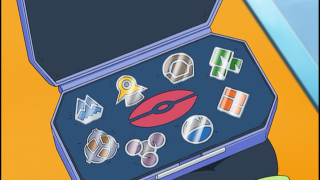 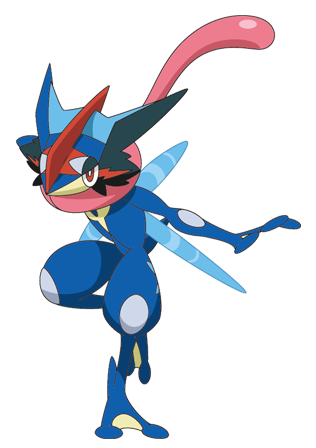 The league was held in Autumn (the tournament has started two months after Ash won the last badge, and here there are also confirmations related to the time the sun was setting). 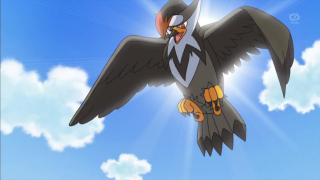 Warning: The Black&White series should be considered separately, however, given its multiple contradictions (read at the beginning of the article), we keep still account its timeline. 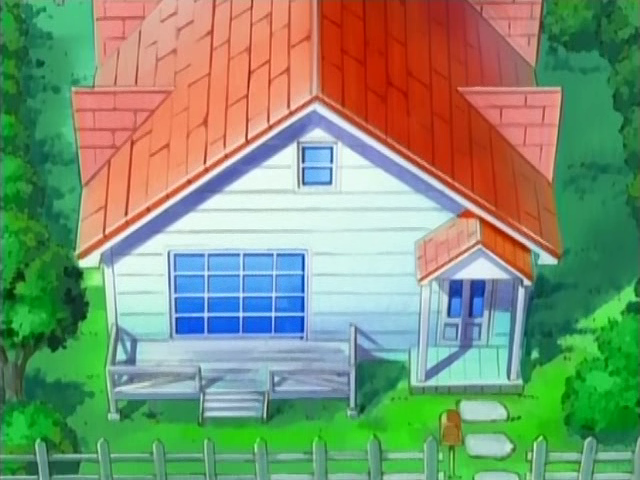 At the end of the Sinnoh League, Ash stayed at home for a few months. He left for Unova in Spring (pink Deerlings) and so he was still 15. 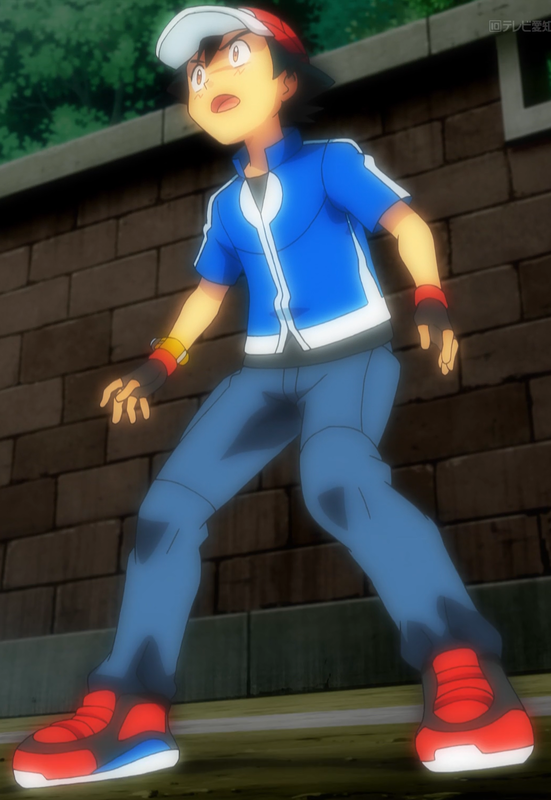 In Best Wishes 2 (Rival Destinies and Adventures in Unova), it was Summer (green Deerlings), so he just turned 16. 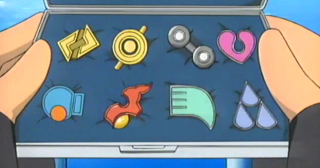 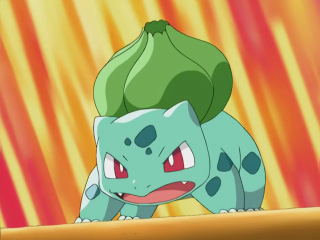 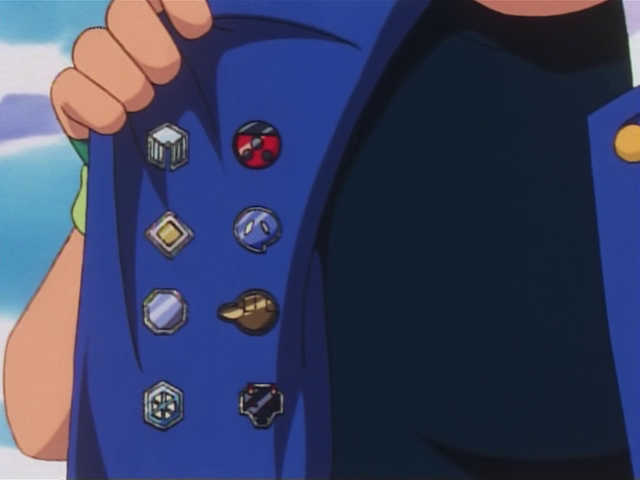 The league was held two months after Ash won the last badge. Towards the end of Best Wishes DA (Adventures in Unova and elsewhere) it has been clearly said that Autumn was coming (in the episode “Butterfree and Me” we can see many migrating Pokémon). 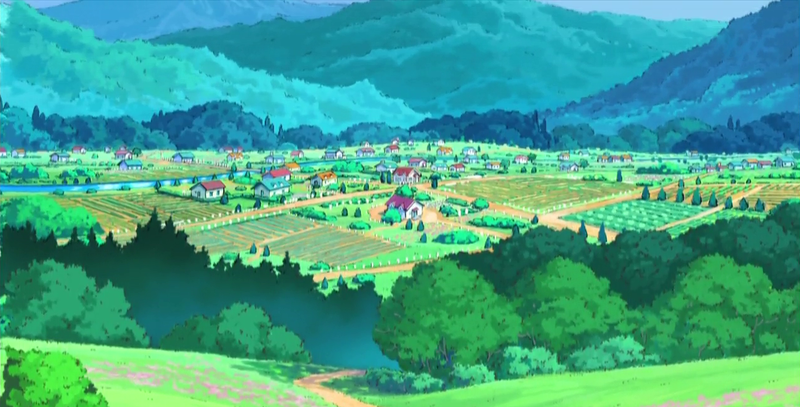 Obviously, the beginning of the XY series is set in the late Summer- early Autumn (Summer Camp episodes are set in the mid-September period, exactly like in real-life). 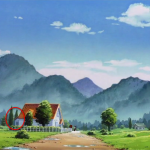 This is confirme d by the presence of a vineyard with ripe grapes in the episode “A Jolting Switcheroo!“. 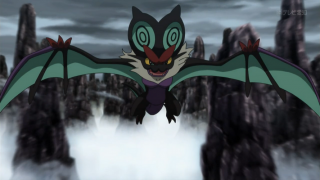 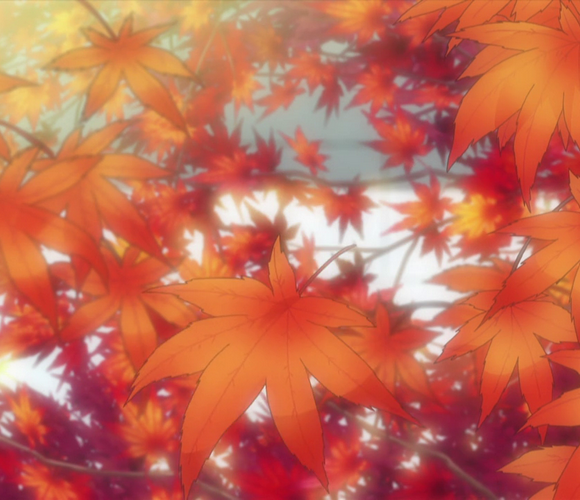 Subsequently is Autumn as we can notice from the presence of many autumnal landscapes and falling leaves, as in the episode XY073: “A Fashionable Battle!“. 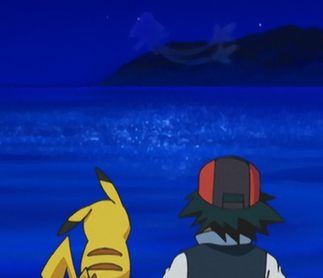 The start of the XY&Z series is set in November because in the episode XY097 “Dream a little dream from me!” the protagonists are watching the Litleonids. 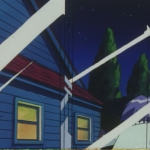 Litleonids are a meteor shower mentioned in the Delta Episode of the OR AS games. 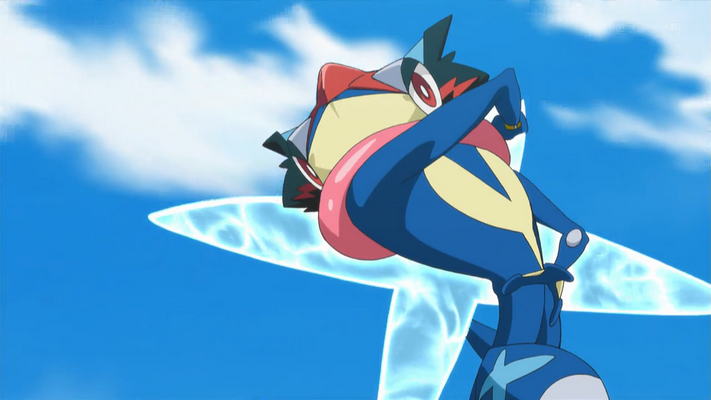 It takes the name from the Leonids shower, which always falls in November (intentionally coinciding with the Ruby and Sapphire games release, reference also mentioned in OR AS). 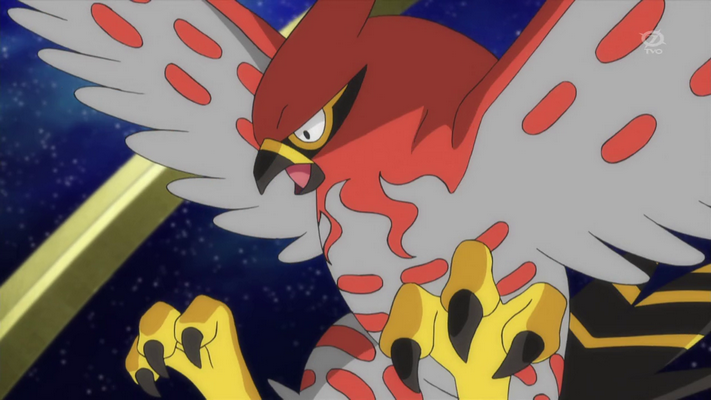 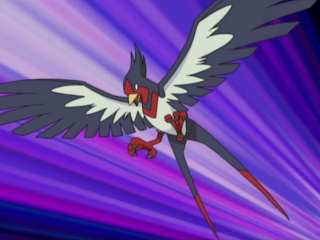 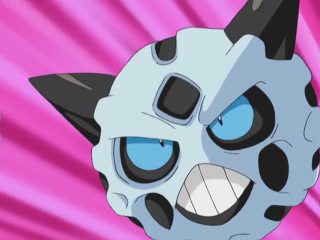 The same XY097 episode aired in Japan during November. The end of the series seems to be set in the spring and Ash is 16 and a half. 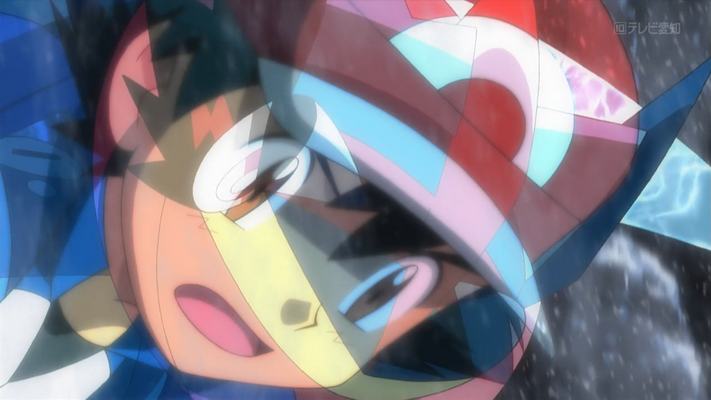 For obvious and logical reasons the Pokémon anime has ended. 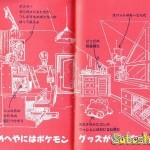 Anyway if you are continuing to follow it, you must always take into account the instructions provided in this article. 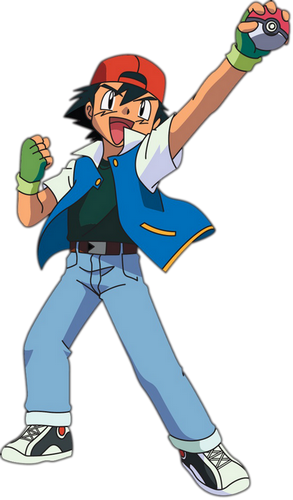 Try to differentiate the real Ash that we all know (and whose growth is evident for all of us) from the purely commercial reboots. 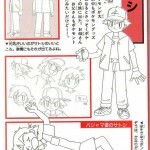 A closer look at how Ash has changed and matured over the years at THIS LINK.